3 Passport needed for domestic travel? Come on! Did you hear about this attempt to bomb Asheville Airport? 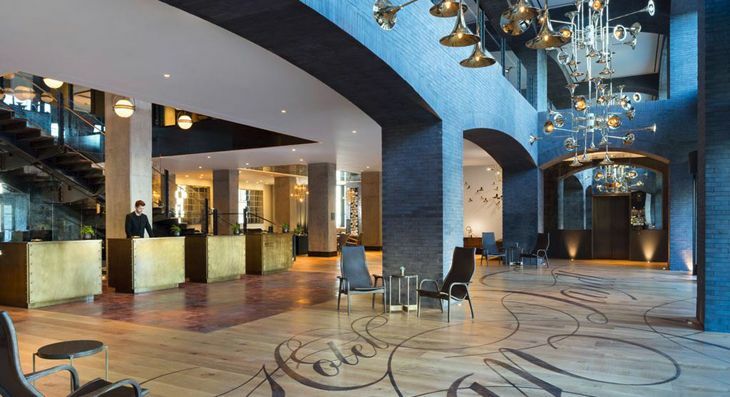 Even though it’s been two years since InterContinental Hotels Group (IHG) acquired Kimpton Hotels, the new parent company has left the Kimpton Karma Rewards program alone – until now. But in early 2018, IHG said this week, it will fold Kimpton Karma Rewards into its own IHG Rewards Club. Kimpton members don’t have to do anything – their accounts will be automatically transferred into IHG Rewards Club, and existing accruals toward Karma Reward Nights will be converted into points in the IHG program. If a Kimpton member already has an IHG account as well, his Kimpton account will be merged into it. As participants in IHG Rewards Club, Kimpton customers will earn 10 points for every dollar spent at any of IHG’s 5,200 properties worldwide, which are organized into 12 brands. They’ll be able to claim reward nights at any of those hotels, taking advantage of online award redemptions. They’ll encounter no blackout dates for reward stays, and will be able to use IHG’s app to manage their accounts and bookings, IHG said. Members will also be able to redeem points with many program partners and for “experience” awards like concert tickets. Kimpton Karma members who currently hold tier status in that program will be given an equivalent level in the IHG program. 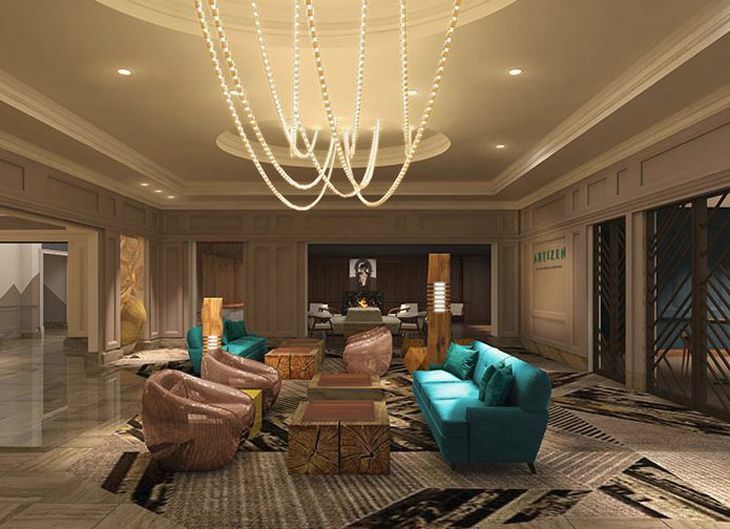 Kimpton Karma Rewards’ Inner Circle “will remain as an invitation-only tier within IHG Rewards Club Spire Elite,” the company noted. Since IHG acquired Kimpton, it has been actively growing the brand, and recently expanded Kimpton’s property roster beyond its North American base. Earlier this year, the brand opened its first European location – the Kimpton De Witt in Amsterdam – and a Paris property is in the works as well. And just this week, IHG announced it has signed management contracts for the first three Kimptons in Asia – a villa resort in Bali, a resort in China’s Hainan Province at Haitang Bay in Sanya; and a 150-room/120 villa property in Shanghai. 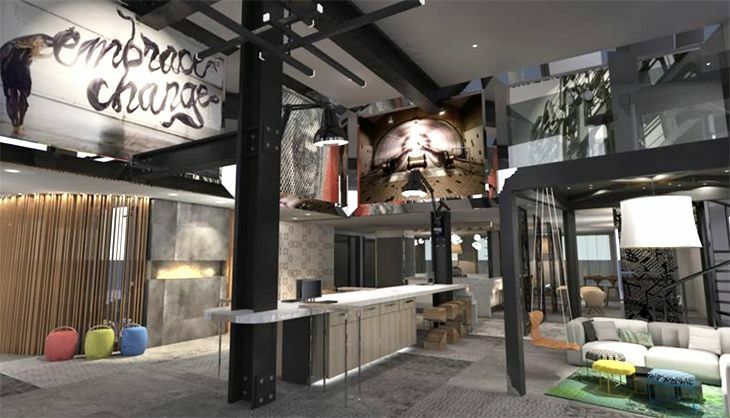 Kimpton is also adding new U.S. hotels at a rapid pace. 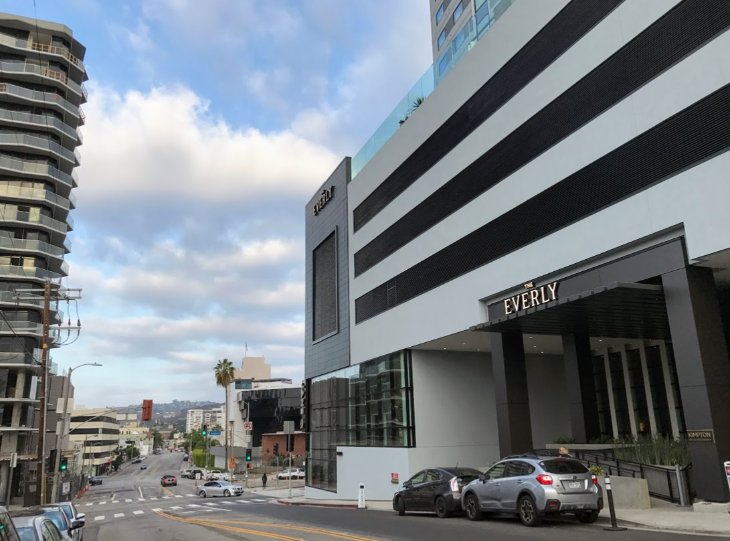 It recently cut the ribbon on a new property in Los Angeles, the Kimpton Everly (see Chris’s review here), as well as its second hotel in downtown Denver at the city’s recently renovated Union Station. 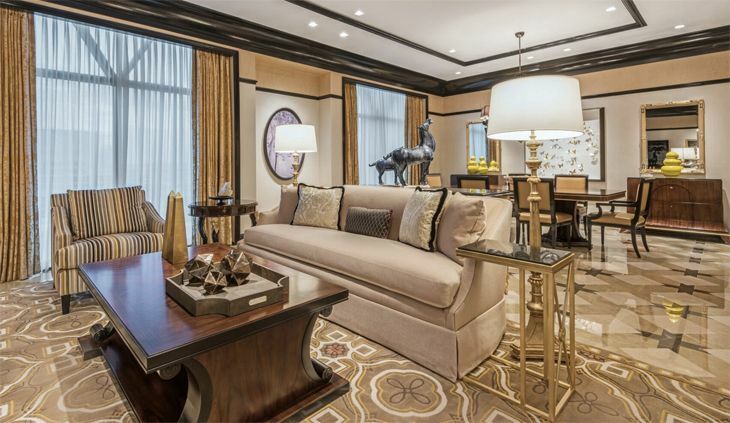 Next month, Kimpton is due to open new properties in Charlotte and Palm Springs. 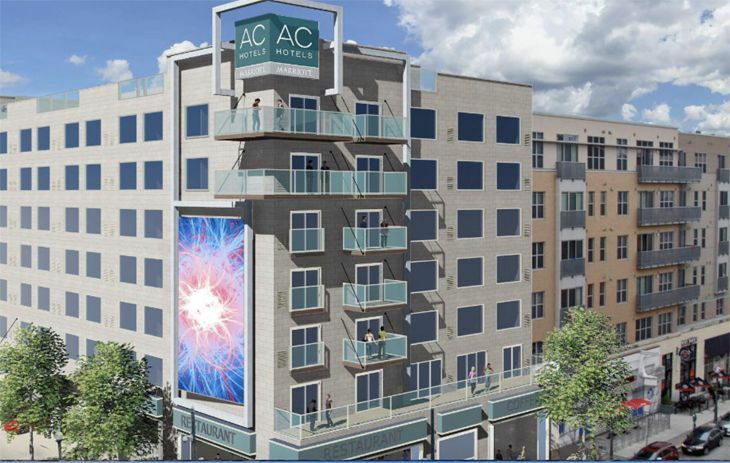 Longer term, Kimpton is developing a new hotel in San Jose as part of an expanded Tech Museum of Innovation in that city, among other projects. Recent hotel openings in key business destinations include a pair of properties in lower Manhattan; an addition to the Kimpton family in downtown Chicago; a dual-branded Hilton in Washington D.C.; an all-suite Hilton affiliate in Minneapolis; and an independent property in Denver’s Cherry Creek North neighborhood. 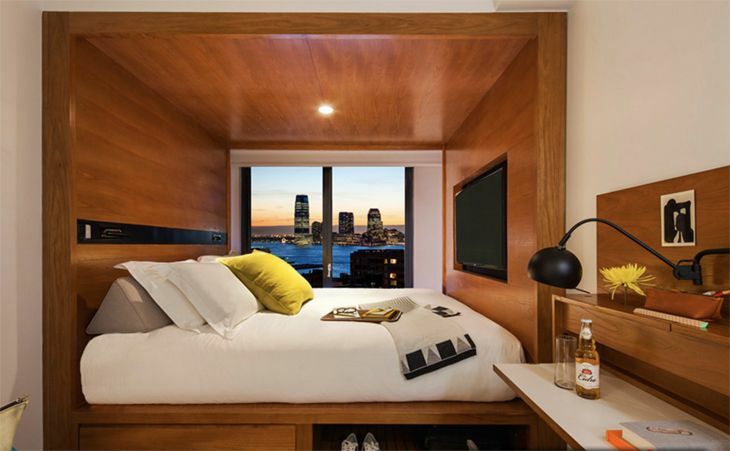 The upscale Thompson Hotels group has cut the ribbon on a new Manhattan property called The Beekman, located near the intersection of Beekman and Nassau streets in lower Manhattan, a block from City Hall Park and near the western approach to the Brooklyn Bridge. 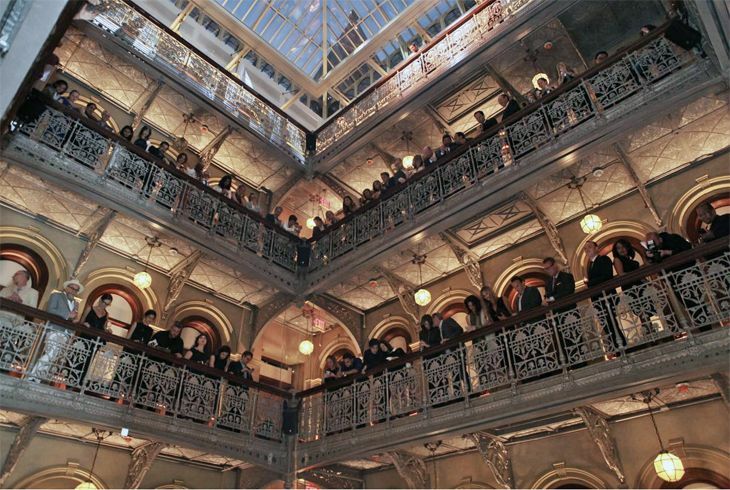 The project required a three-year overhaul and restoration of a landmark building dating back to 1883, characterized by a vast skylight-topped central atrium that has been preserved right down to its cast-iron railings. 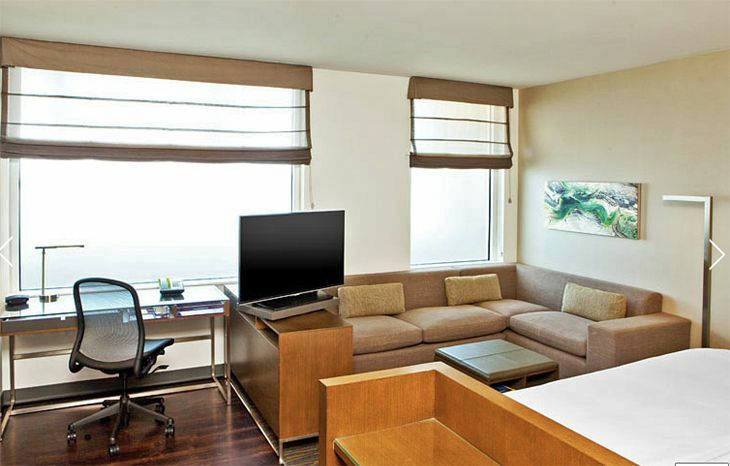 As a hotel, it has 287 guest rooms, including 45 suites – two of them with access to the rooftop. Rooms start at 285 square feet. 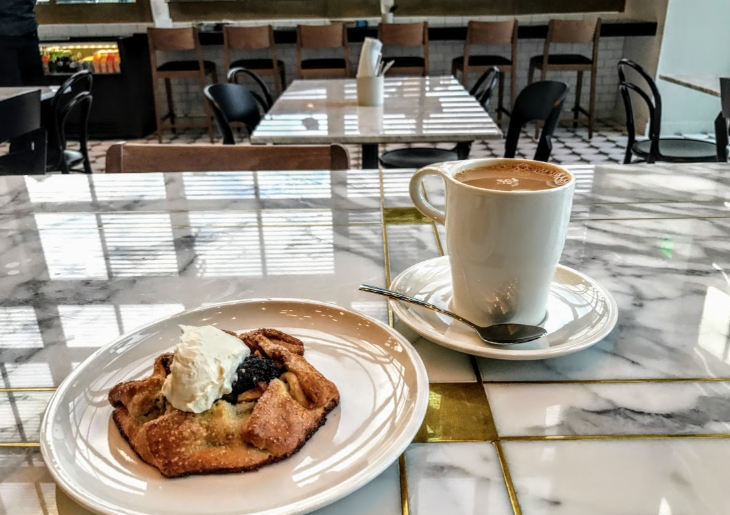 The hotel’s signature restaurant, Fowler & Wells, is from celebrity chef Tom Colicchio, and renowned New York restaurateur Keith McNally is behind the hotel’s brasserie restaurant called Augustine. Rates start at $439. Also new in Manhattan is the 325-room Arlo Hudson Square Hotel at 231 Hudson Street, just west of SoHo and just north of Canal Street. 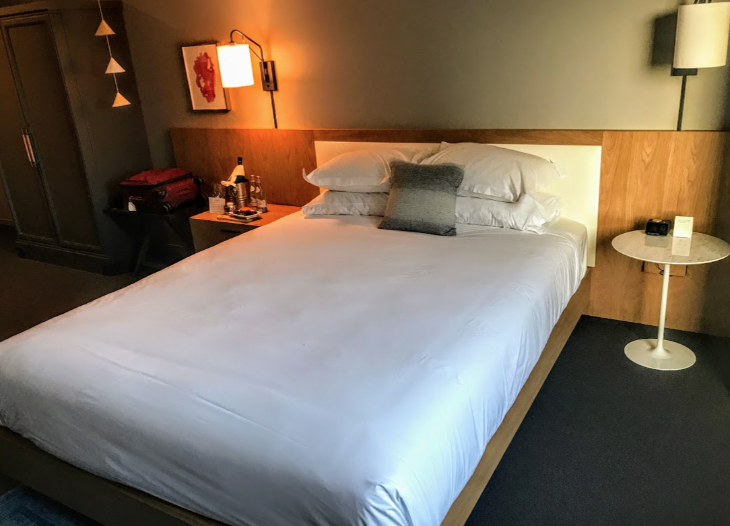 Arlo Hotels calls the property a four-star “micro-hotel,” which means it has guest rooms that average a mere 160 square feet, featuring “warm, high-touch materials and clever elements like fold-down desks and closets with adjustable hanging pegs,” the company said. It has a mod décor, lobby bar and restaurant, and a rooftop bar with views of the Hudson River. There’s also a public space called The Library that “evolves from a co-working space during the day into an area of fun in the evening, complete with a vast selection of vintage board games, throwback movies, and cocktail service from the Lobby Bar.” Opening rates start at $199. 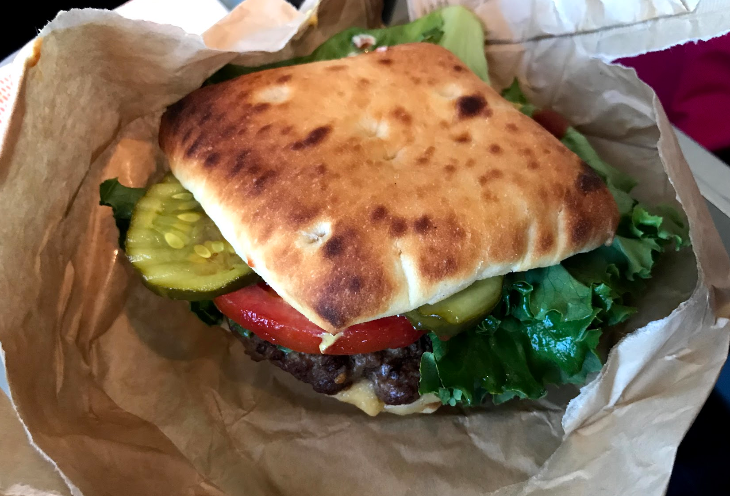 Another new Arlo is due to open on East 31st Street later this fall. 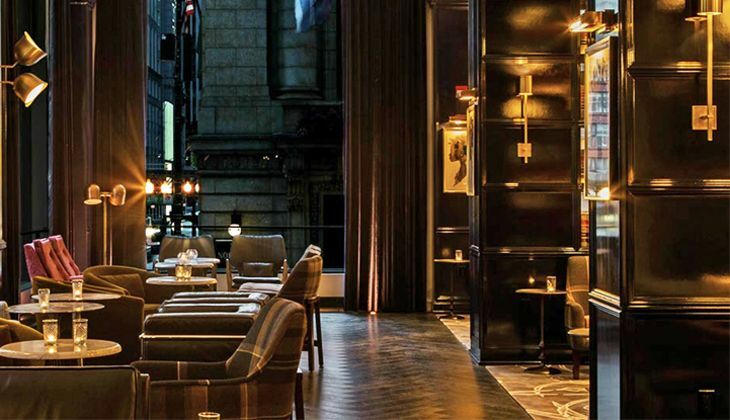 In downtown Chicago, InterContinental’s Kimpton Hotels unit has cut the ribbon on The Kimpton Gray Hotel, a makeover of the historic New York Life Insurance Building in the financial district at 122 West Monroe Street, built in 1894. Grand opening rates start as low as $168 on weekends. The 293-room Gray retains Art Deco details in its interior as well as its gray granite exterior, but with all the modern amenities. Kimpton’s fifth Chicago location, the Gray has a 15th-floor rooftop bar with cocktails and small plates of South American cuisine; a lobby bar called Vol. 39; and a New American restaurant called Steadfast. 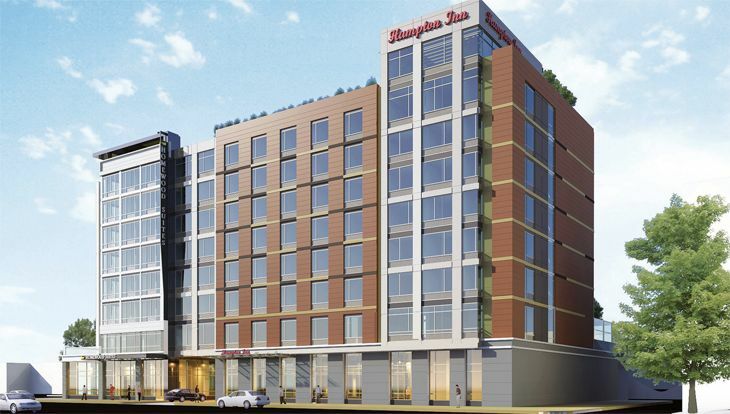 Hilton has expanded its presence in Washington D.C. with the opening of a 239-room dual-branded Hampton Inn and Homewood Suites property at 501 New York Avenue NE. Called the Hampton Inn by Hilton Washington D.C. NoMa Union Station and the Homewood Suites by Hilton Washington D.C. NoMa Union Station, the hotels are near the Metro’s Red Line at NoMa-Gallaudet U Station, not far from the U.S. Capitol. The hotels have separate lobbies and check-in desks but share a fitness center and pool as well as free Wi-Fi. The extended-stay Homewood Suites offers studio and one-bedroom units with full kitchens and separate living and sleeping areas, and both offer free hot breakfasts. HHonors advance purchase rates start at $161 at the Hampton Inn and $149 at the Homewood Suites. What was once the Plymouth Building, an historic Beaux Arts structure in downtown Minneapolis at 12 Sixth Street South, is now the Embassy Suites by Hilton Minneapolis Downtown. The 290-unit all-suite property is linked to the city’s Skyway system and close to the Minneapolis Convention Center. Guests get free Wi-Fi, hot breakfasts and evening reception with snacks and drinks, and two-room suites have 49-inch TVs, walk-in showers, microwaves, mini-fridges and desks with ergonomic chairs. The hotel also has 12,600 square feet of meeting space in 10 rooms; a lobby bar with morning coffee service; and Lyon’s Pub, with beer on tap and bar food, as well as a fitness center and heated indoor pool. HHonors advance purchase discount rates start at $199. 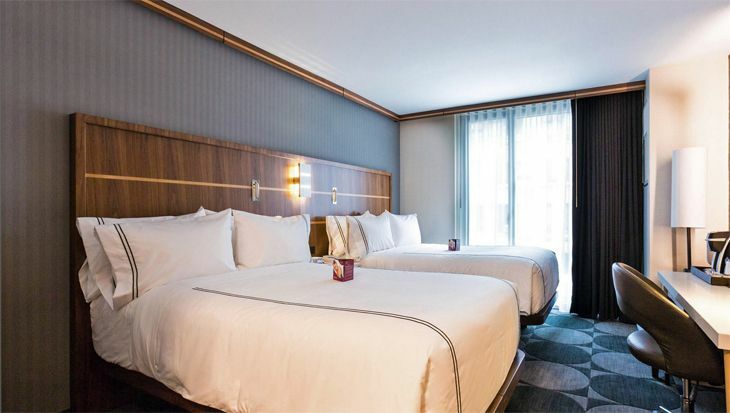 Newly opened in Denver is a 154-room independent hotel called Halcyon, located in the Cherry Creek North retail/commercial district southeast of downtown. It’s the first newly built hotel in the neighborhood in 13 years. The luxury property offers guests e-bikes and Vespas to get around the neighborhood and the city, and has a program called Gear Garage that “allows guests to dive into the destination of Denver through hands-on learning of various skills and immersive adventures on a complimentary basis.” Like so many new urban hotels, Halcyon has a rooftop bar and pool. The Halcyon has a fitness center, and it offers Asian cuisine at a restaurant called Departure; it will soon open an Italian restaurant as well. Rates begin at $299. Filed Under: Hotels, Newest hotels Tagged With: Arlo, Beekman, Chicago, Denver, Embassy Suites, Gray, Halcyon, Hampton Inn, Hilton, Homewood Suites, hotels, Kimpton, Minneapolis, New York, Washington D.C. 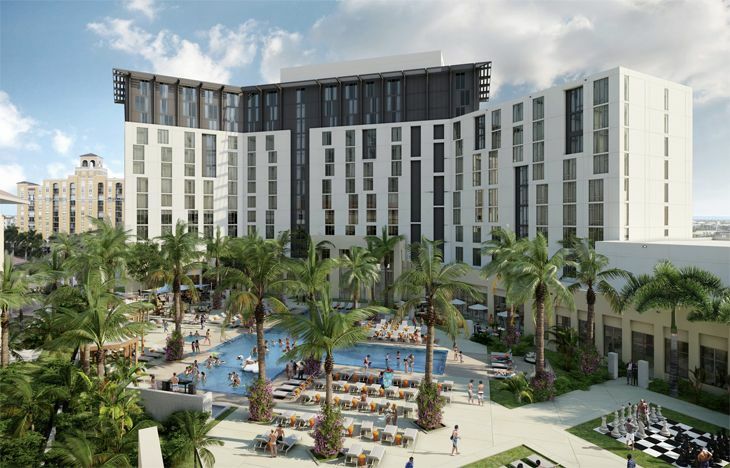 In hotel news, there’s a new luxury property in Silicon Valley; San Francisco’s largest hotel gets a makeover; Kimpton adds a location in the nation’s capital; one of East Asia’s leading hotel companies is making its U.S. debut in Miami; and Marriott opens a Moxy in New Orleans. 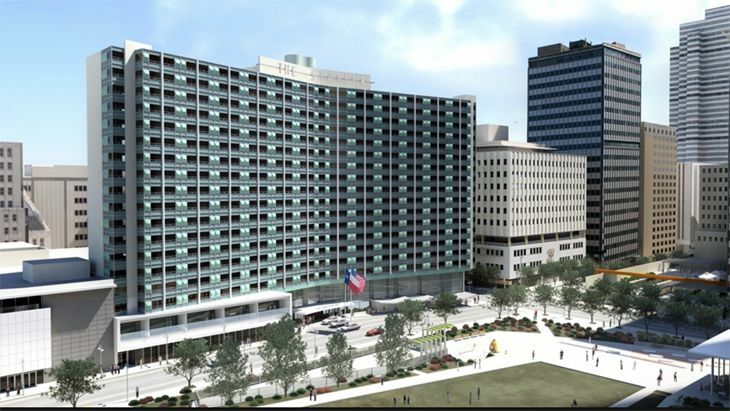 How can a city of 66,000 support a hotel with room rates starting at $700 a night? It helps when that city is in the heart of Silicon Valley’s tech giants and venture capital companies. Thus Palo Alto, California is the home of a new hotel called The Clement Palo Alto, which describes itself as “one of the most innovative, personalized and unique luxury hotels in the country.” It has 23 luxury one-bedroom suites, each 650 square feet, and its rates are seriously all-inclusive: They include three meals a day plus snacks; alcoholic beverages; in-room dining; valet service; Internet; gratuities; a personal concierge; a 24-hour guest pantry, and more. (Sounds like staying at the Clement is sorta like working for a unicorn!) 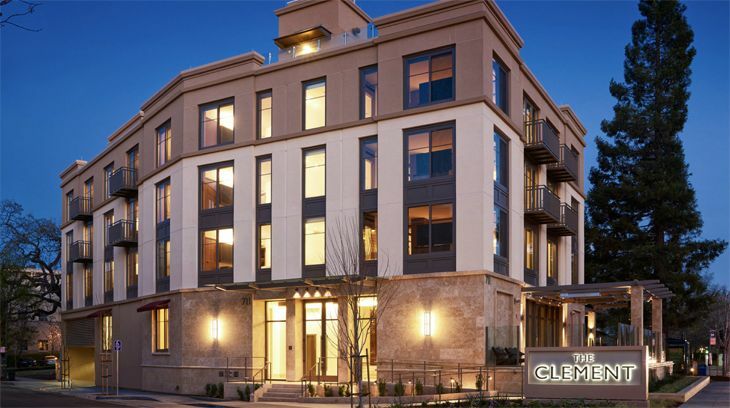 The Clement is close to Stanford University and downtown Palo Alto. Visitors to the Hilton San Francisco Union Square – the largest hotel in the Bay Area – will see some changes this spring. The property just finished a $25 million renovation that upgraded guest accommodations and meeting rooms, provided an overhaul of its huge lobby area including a new lobby bar, and gave it a new grab-and-go food area called Herb N’ Kitchen with a variety of fresh edibles and set meals as well as a full-service coffee bar. Rates start around $230 a night. Plus, all rooms can now be opened with guest mobile phones utilizing the Hilton Honors app. 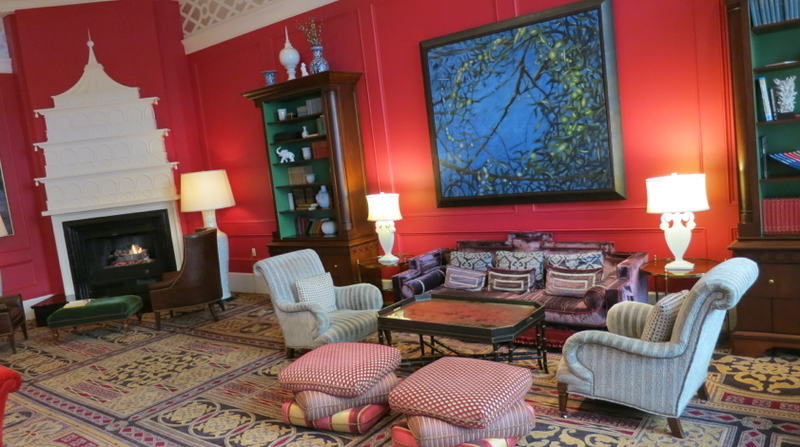 Kimpton Hotels has opened a new property in Washington D.C. The 178-room (including 18 suites) Kimpton Mason & Rook Hotel is at 1430 Rhode Island Ave. NW near the city’s trendy 14th Street Corridor. The hotel features what it calls “a culinary-focused cocktail bar” (actually a bar/restaurant) called Radiator (because the area used to have a lot of auto repair shops), and it offers a raft of Kimpton-style guest services like free morning coffee, a nightly wine hour, yoga mats and bicycles. Rates start at $159. 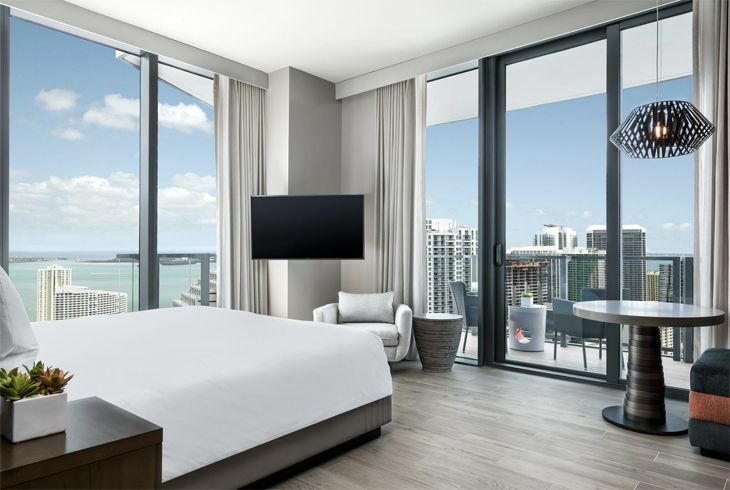 Swire Properties, which operates renowned hotels in Asia including The Upper House in Hong Kong and The Opposite House in Beijing, has set a May 31 opening for its first U.S. hotel, called EAST, Miami. 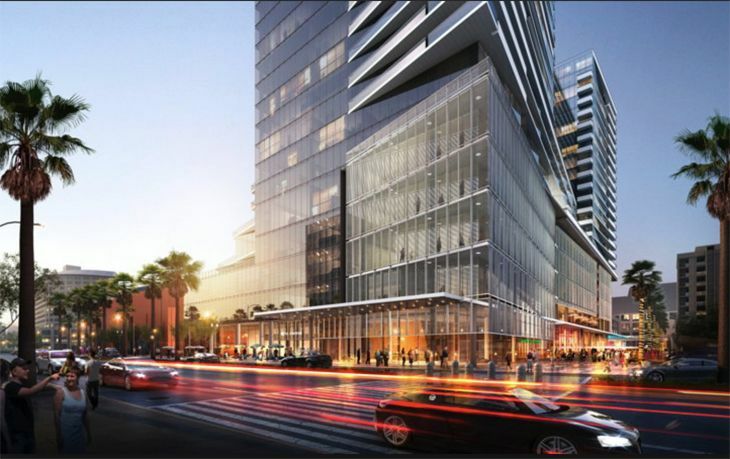 The 352-room property will serve as the anchor hotel for Swire’s $1 billion mixed-use development in the city’s Brickell district. Rooms and suites range from 300 to 1,800 square feet, offering floor-to-ceiling windows with skyline or bay views and free Wi-Fi. It has two signature restaurants including the Quinto La Huella, with Latin American cuisine; and a rooftop (40th floor) space called Sugar, serving tapas and cocktails. 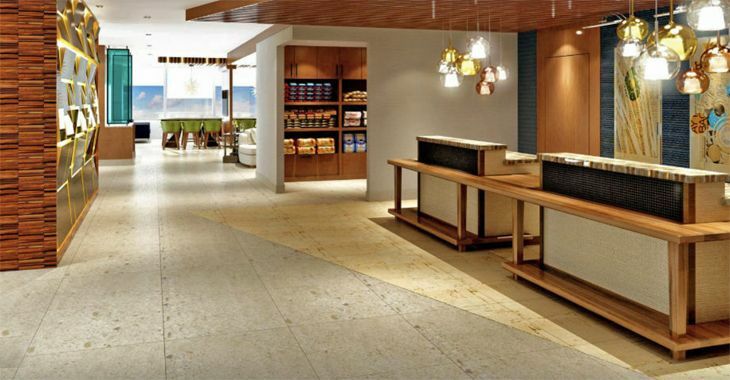 There’s also a lobby café and bar, a poolside bar, and 20,000 square feet of meeting space. Rates start at $195. 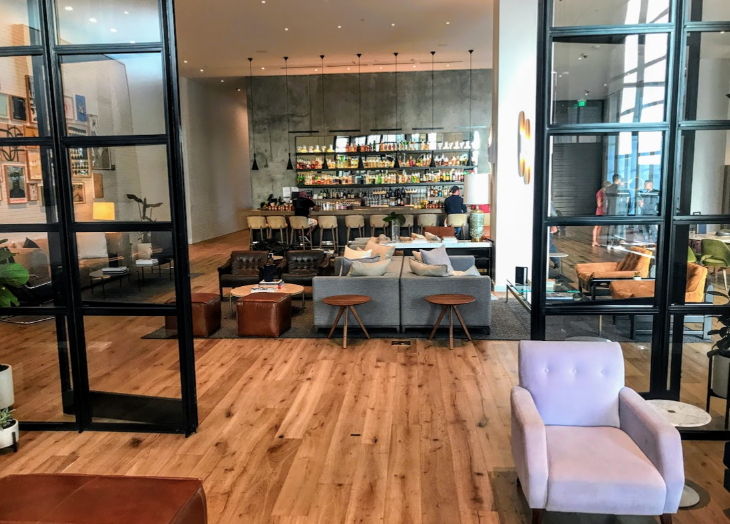 The new Marriott brand called Moxy – aimed at “today’s next-generation traveler” – has opened a location in New Orleans, on O’Keefe Avenue near the French Quarter. The 108-room Moxy New Orleans provides mobile check-in and –out, keyless room entry, motion sensor lighting, in-room Internet TVs with Netflix, YouTube, Hulu, and Pandora; fast free Wi-Fi, and lots of power and USB plugs. There’s a 24/7 self-serve food and beverage outlet as well as communal areas with work and game spaces. Rates start at $124. More Moxys are coming to New York, San Francisco, Seattle, Chicago and Nashville. Filed Under: Hotels Tagged With: Clement, EAST, Hilton, hotels, Kimpton, Marriott, Mason & Rook, Miami, Moxy, New Orleans, Palo Alto, San francisco, Swire, Washington D.C. 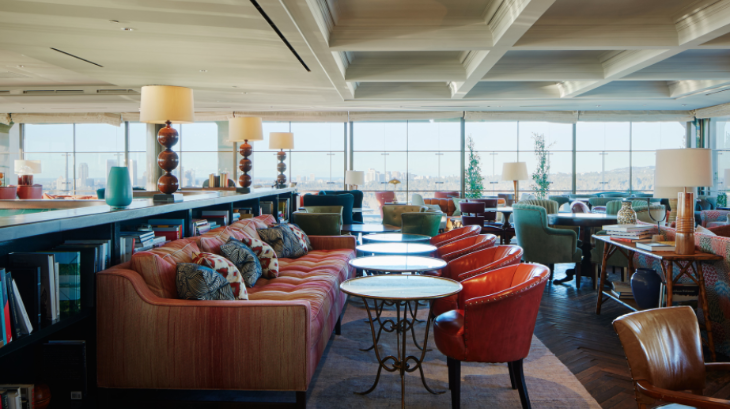 In U.S. hotel developments, a Phoenix classic is reborn with a new identity (but still with a Marriott affiliation); Kimpton Hotels brings its signature style to Austin; downtown Boston get s a new boutique property; and InterContinental makes a debut in the Twin Cities. 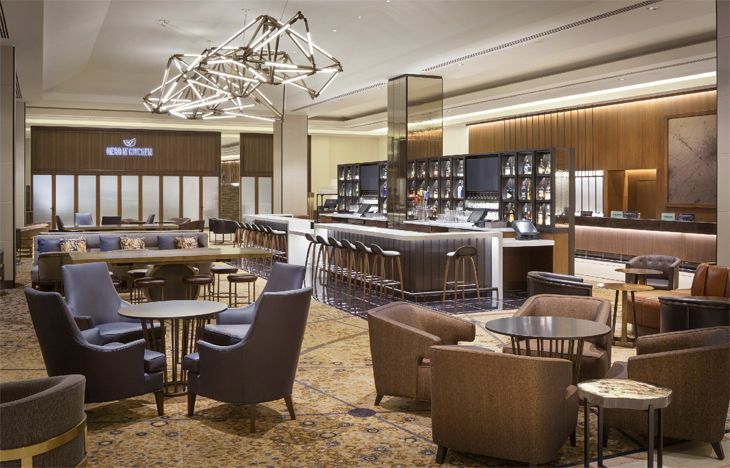 The hotel that used to be the Ritz-Carlton in Phoenix has gone through a five-month renovation and restyling, and has been reborn as The Camby Hotel. It’s at 2401 East Camelback Road (at N. 24th Street), across the road from the Biltmore Fashion Park mall. The hotel’s former Bistro 24 restaurant is now called Artizen, with locally sourced ingredients for its American cuisine. There’s a rooftop bar called Revery, with a pool and sun deck, outdoor games, and a video projection wall. Rooms have all been redecorated to appeal to a trendier crowd, although the hotel’s main market will still be business and meeting travelers. 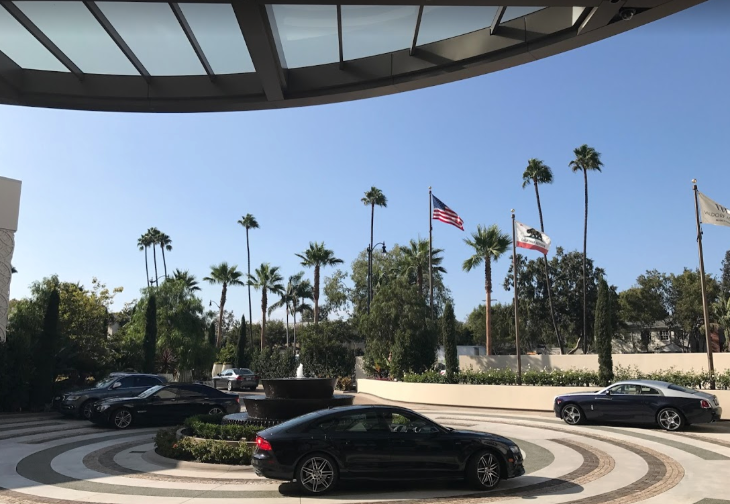 Although it’s no longer a Ritz-Carlton, The Camby retains a Marriott affiliation through membership in the group’s Autograph Collection. Rates start around $330 in winter, or half that in summer. Kimpton Hotels — now a subsidiary of InterContinental Hotels Group — has cut the ribbon on its first property in Austin. Called the Hotel Van Zandt, the 319-room, 41-suite hotel is at 605 Davis Street in the city’s Rainey Street Historic District. The newly built hotel’s Geraldine’s restaurant features local Austin specialties and offers live entertainment. Rooms offer free high-speed Wi-Fi and Bluetooth speakers along with yoga mats. Guests are invited to free beer and margaritas at the lobby social hour form 5 to 6 p.m., and Cafe 605 off the lobby has items like brisket and egg tacos as well as specialty coffees. Rates range from $210 to $399, but the hotel is offering 25-30 percent “Sneak Peek” introductory discounts through February, subject to availability. 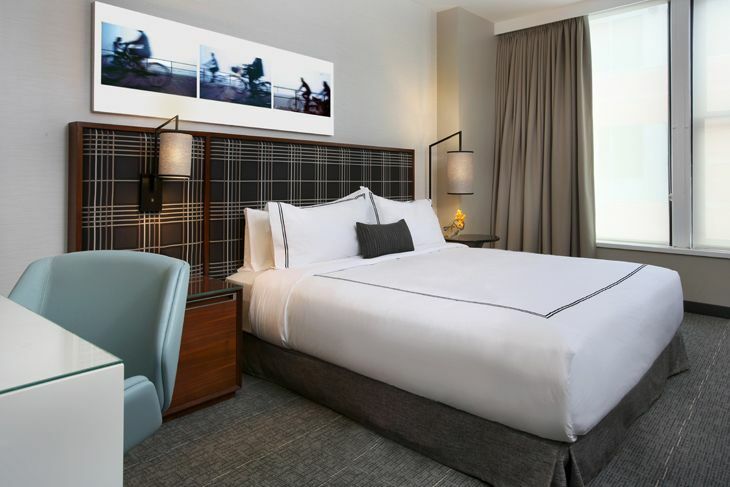 February 3 is the scheduled opening date for downtown Boston’s newest upscale lodging option, the 242-room Godfrey Hotel Boston. 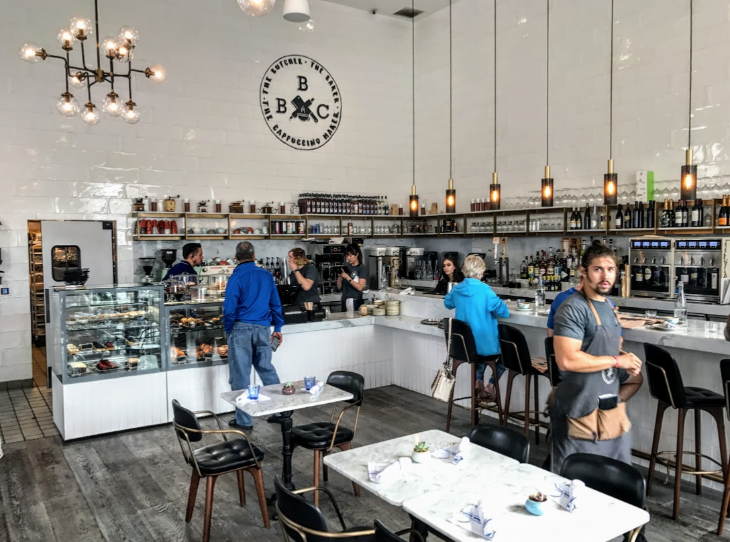 Located at 505 Washington Street in the district known as Downtown Crossing, a short walk from Boston Common, it’s a makeover of the old Amory and Blake buildings. It has a restaurant/bar, fitness center, free Wi-Fi, and valet parking, and will open a George Howell Coffee outlet this spring. Guest rooms have 55-inch TVs, mobile keyless entry, Bluetooth audio system, and desks with USB ports. Introductory rates start at $199. The former Crowne Plaza St. Paul-Riverfront at 11 East Kellogg Blvd. in Minnesota’s capital city has received a multi-million dollar upgrade and reopened as the InterContinental St. Paul Riverfront. Overlooking the Mississippi River, the 410-room hotel has 43,000 square feet of meeting space, including a grand ballroom that accommodates up to 500. 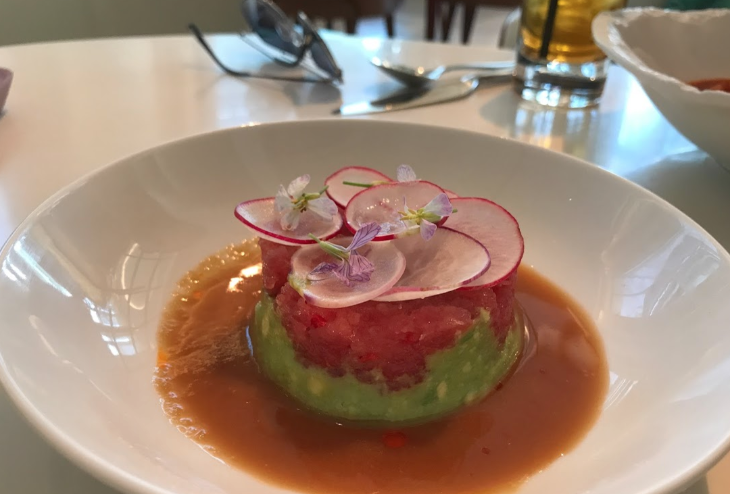 The new restaurant is called the Citizen Supper Club, with a varied cuisine; the hotel also has a coffee shop, fitness room and business center, and room options include a private-access Executive Floor. Rates start at $171. 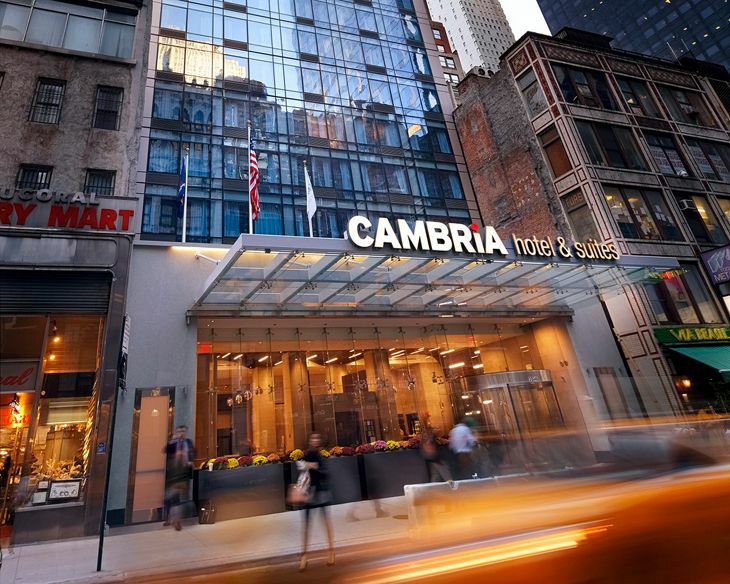 Choice Hotels International’s newest property in New York City is the 196-room Cambria Hotel & Suites NY-Times Square at 30 West 46th Street (actually closer to Fifth Avenue than Times Square). It boasts large rooms with big bathrooms, free Wi-Fi, a lobby bar, a fitness center, and a bistro-style restaurant/bar called Social Circle. Rates start at $119. In other news, Atlanta is due to get a new luxury airport property next year, when the Solis Hotel, operated by Capella Hotel Group, is due to open near the Porsche Experience Driving Center in Haperville, Ga., just east of Hartsfield-Jackson. It will be the first new hotel on the east side of the airport since the International Terminal opened. The 214-room Solis will have a rooftop lounge with views of the Porsche driving course, and guests can arrange to pick up newly purchased Porsches there as well. TravelSkills’ 10 most popular posts over the last week (descending order)… plus a few newsy nuggets we missed. 4. There’s a difference: Direct or nonstop flight? You tell me! 10. Big surprise: Is Kimpton abandoning San Francisco? Guess what? No UberX or Lyft at LAX in August after all. Grrr. >Uber is OK at Oakland International! 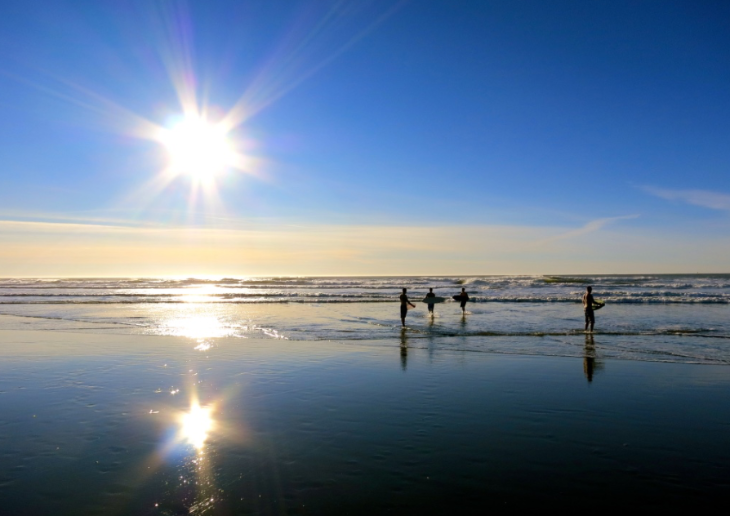 Do you follow TravelSkills on Twitter? It’s a great way to keep up with the latest news! Is Kimpton abandoning San Francisco? What’s going on with Kimpton Hotels in its hometown of San Francisco? 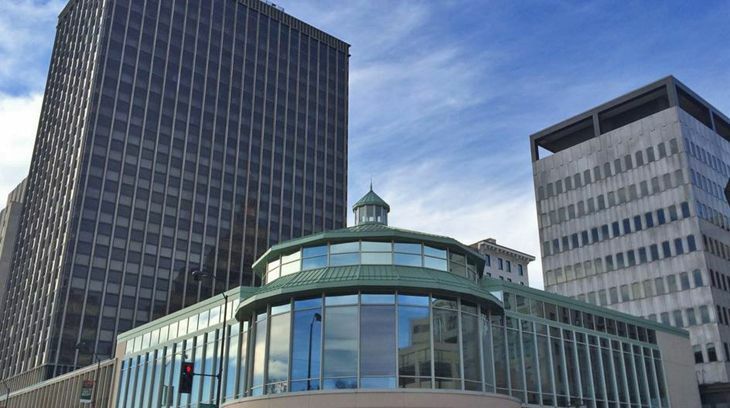 Big changes are underway with its properties there following its recent acquisition by InterContinental Hotels Group (IHG) for $430 million. At least two of them have been “de-branded” — i.e., removed from the Kimpton group — and the same could happen to more, apparently due to a battle over unionization. UPDATE: July 30 – according to the Kimpton Hotels web site today, there are only TWO Kimpton hotels left in San Francisco: The Buchanan in Japantown and Sir Francis Drake in Union Square. The first to drop out was the Hotel Monaco San Francisco on Geary Street two blocks from Union Square, which has been renamed The Marker Hotel, managed by Destination Hotels and Resorts. 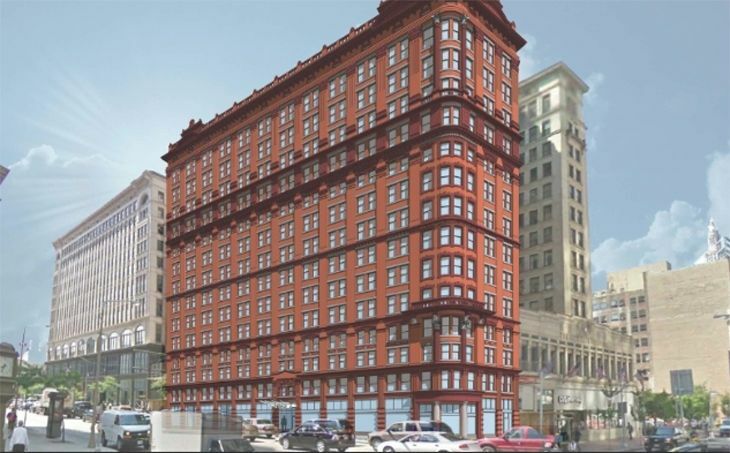 That was followed this week by the loss of the Hotel Palomar at 4th and Market streets, according to a letter sent to members of the Kimpton Karma frequent guest program. The website hotelchatter.com said it learned that property is now being operated by a subsidiary of Benchmark Hotels. While IHG bought the Kimpton brand and management operations, the individual hotels are owned by other companies. Of the original seven Kimpton propeties in San Francisco, three are owned by LaSalle Hotel Properties and four by Pebblebrook Hotel Trust, according to Unite Here Local 2, the city’s hotel and restaurant workers’ union. The union charged in a press release this week that IHG, LaSalle and Pebblebrook are taking “extraordinary steps to evade contractual commitments pertaining to hotel employee organizing rights,” creating “a climate of uncertainty and disruption” at all seven properties. 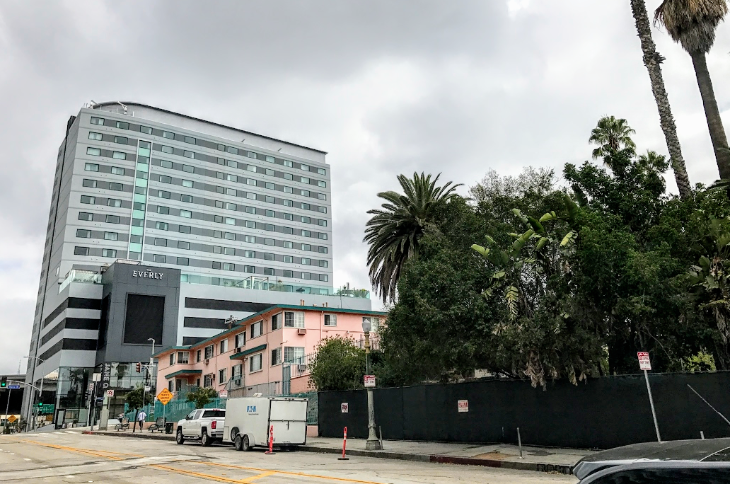 Unite Here Local 2 claims that its contract with IHG gives it the right to attempt to organize workers at the Kimpton hotels that are now part of IHG, and that the three hotel firms are trying to stop that effort by moving the properties away from Kimpton to other management companies. “These three companies are acting in extreme bad faith, and their decision to take such radical action now has caused real harm to hotel workers in San Francisco,” said union chief Anand Singh, claiming that a number of employees have already lost their jobs due to the companies’ actions. What happens next? Hard to say, but Unite Here Local 2 has not been known for backing away from confrontation. 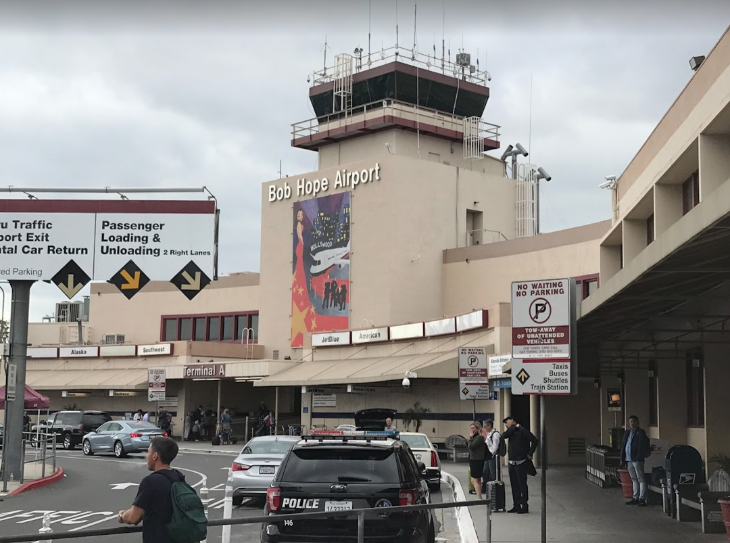 Last winter, 1,000 of its members at Los Angeles International Airport launched a strike against 55 restaurants there. And in 2011, members went on strike at the Hyatt Regency Embarcadero Center and the Grand Hyatt in San Francisco. 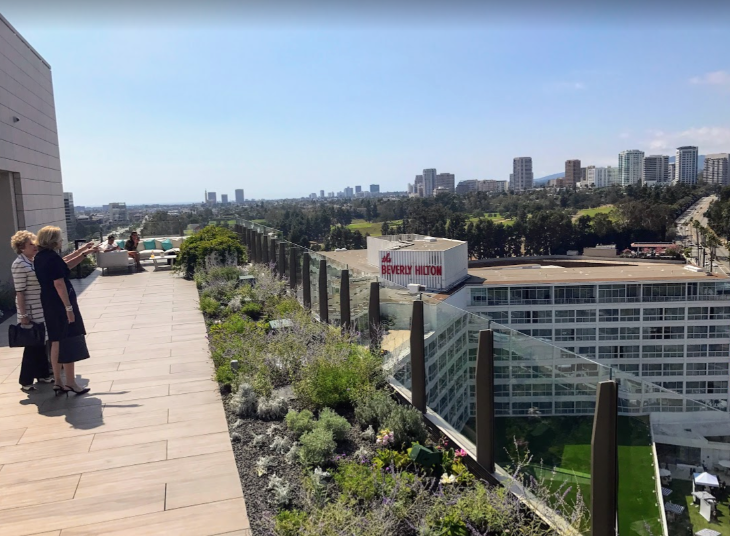 A few months back, we mentioned that InterContinental Hotels Group was planning to bring some changes to its IHG Rewards Club this summer, and now those changes have taken effect — including a new top elite level. 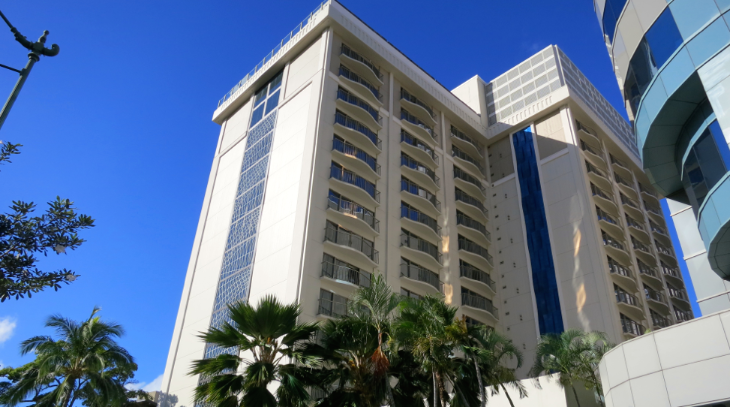 That level will be known as Spire Elite, gained by earning 75,000 qualifying program points or accumulating 75 nights at member properties over a calendar year. What’ll that get you? Spire Elites will earn 100 percent bonus points on qualifying stays; they’ll also be able to choose between getting 25,000 bonus points or upgrading someone (friend or family member) to Platinum status in IHG Rewards. The company has also revised the requirements for other membership levels, starting this month. From now on, 10,000 points or 10 nights is good for Gold status in the program. To upgrade to the next level, Golds can reach Platinum status with 40,000 points or 40 nights’ total stays. More changes will be coming in the future. 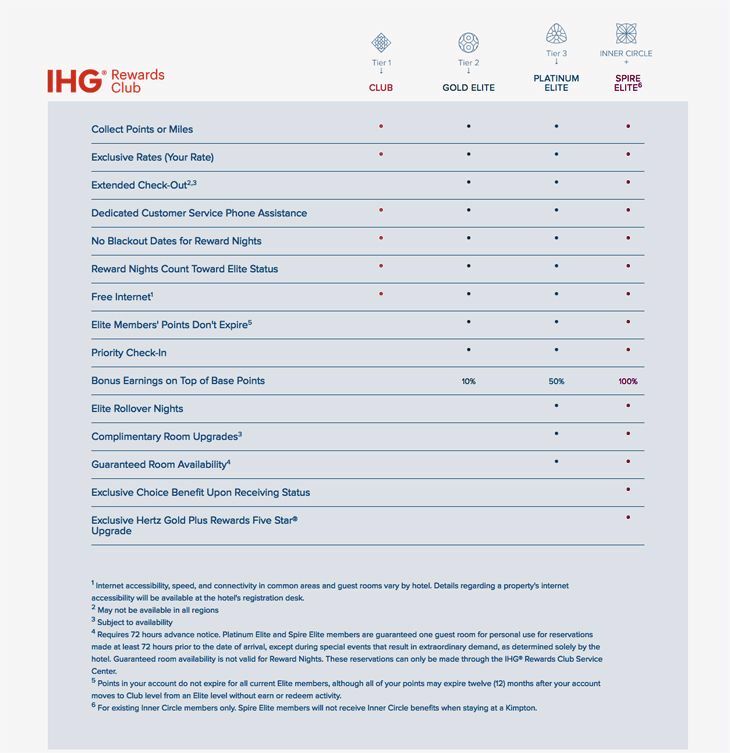 IHG said that starting in May 2016, Rewards members who go for a full 12 months without earning or redeeming any points will find their balances have expired. 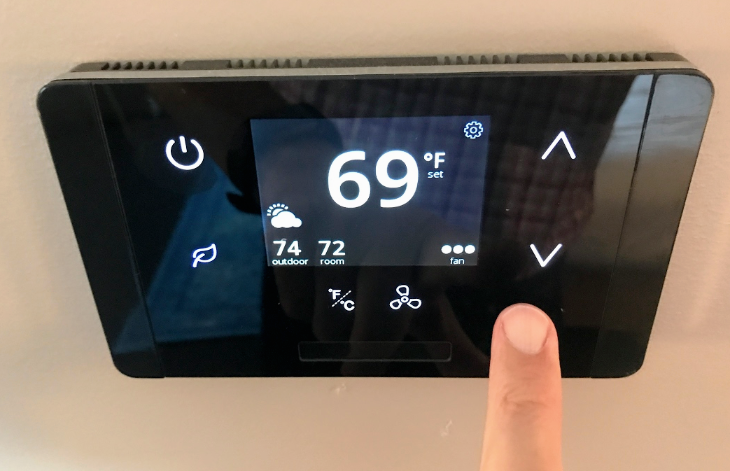 The company is also developing a new Customer Relationship Management system that will learn about members’ personal preferences during their stays, and will allow hotels to offer them “services and experiences that are personally relevant to them,” like room location preferences, type of pillows and so on. 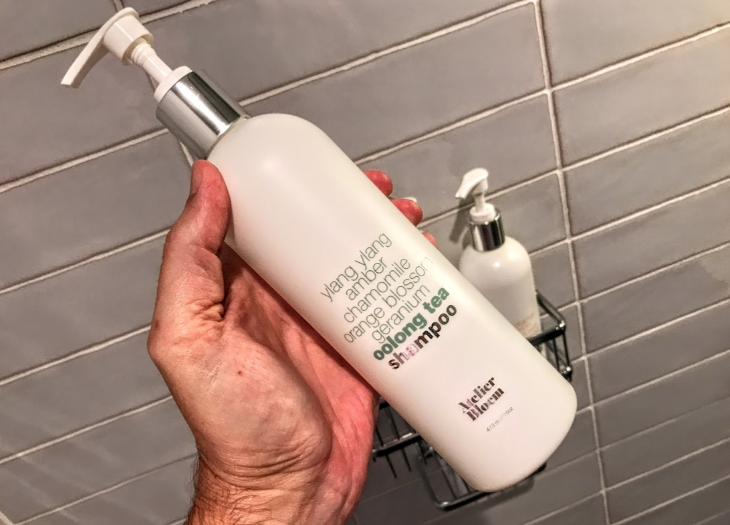 The company’s brands include InterContinental, Crowne Plaza, Holiday Inn, Holiday Inn Express, Indigo, Even Hotels, Candlewood Suites and Staybridge Suites. 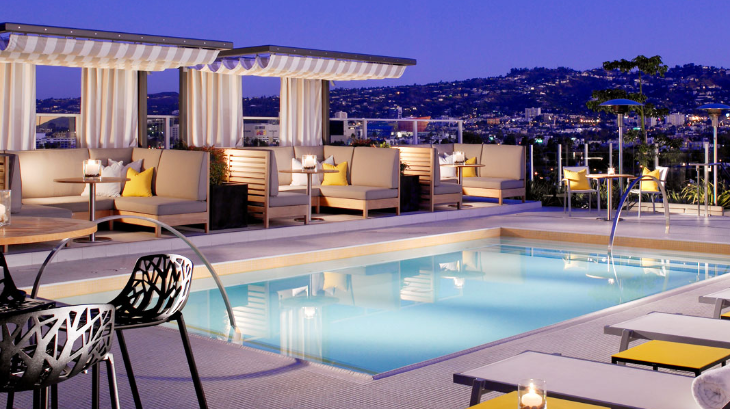 Although IHG recently acquired the popular boutique group Kimpton Hotels, it has not yet brought Kimpton’s Karma Rewards loyalty program into IHG Rewards, and continues to operate Kimpton as a separate company. NOTE: Be sure to click here to see all recent TravelSkills posts about: Top 15 travel brands ranked + Slew of affordable new center city hotels + Swish new B777 + ATMs are out + More! Virgin speeds up in-flight Wi-Fi. 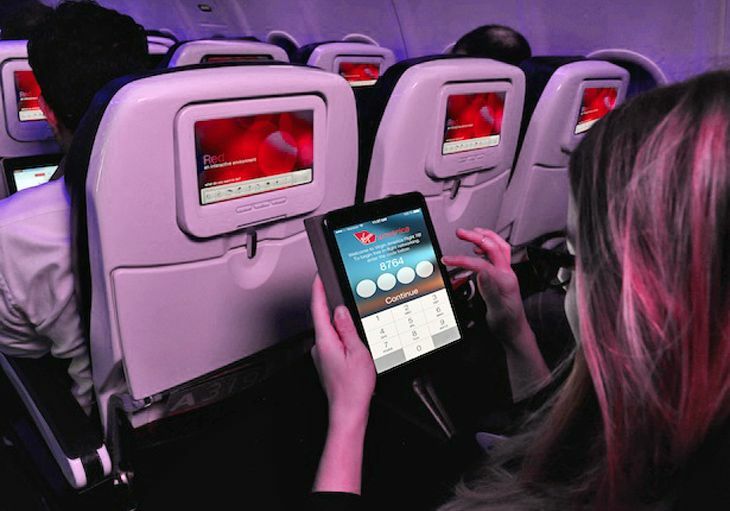 Flyers on Virgin America who use in-flight Wi-Fi should notice an improvement in download speeds now that the airline has completed the deployment of Gogo’s ATG-4 Wi-Fi service on all 53 of its Airbus A320s. With speeds topping out at 9.8 Mbps, the ATG-4 service is more than three times faster than the first generation of in-flight Internet. To promote the enhancement, Virgin and Gogo are offering a chance to win roundtrip flights, a new iPad or free Wi-Fi service for a year to persons who “share their best ‘office in the sky’ moment on Twitter and Instagram with the hashtag #OfficeInTheSky.” Readers, what’s your experience with in-flight Wi-Fi? Too slow? Too expensive? Or just right? Post comments below. SkyMiles offers Hertz status. 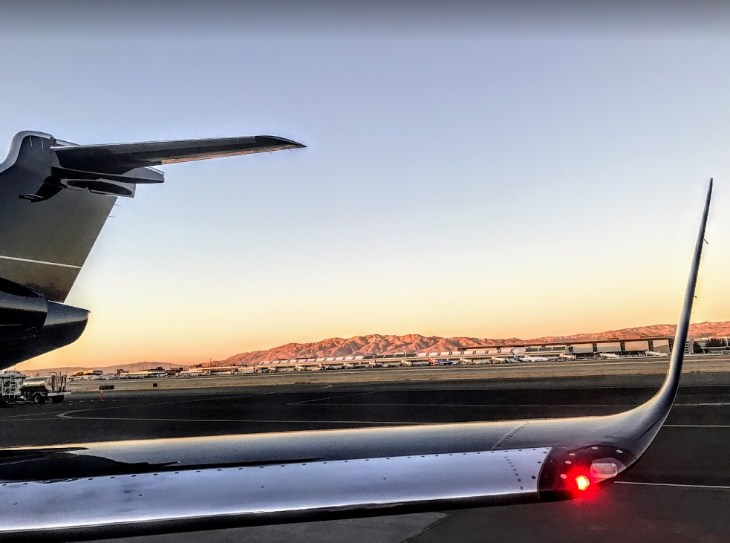 Delta has bolstered its partnership with Hertz by offering SkyMiles Medallion members elite status in the car rental company’s Gold Plus Rewards program, which will give them expedited service and car upgrade eligibility. Gold Medallions can join Hertz’s Five Star Program, while Platinums and Diamonds are eligible for the Gold Plus Rewards President’s Circle. Delta set up a web page with a link to the registration process for Hertz status enrollment. Medallions can also scan Hertz’s summary of benefits for the Gold Plus Rewards status levels. Alaska debuts new in-flight perks. Streaming in-flight entertainment to personal electronic devices is just one of the perks Alaska Airlines is rolling out as part of its new “Alaska Beyond” in-flight improvements. The company said entertainment streaming — currently available on 50 of its 737s, and coming on the rest by April — will be free through January 31; after that, movies and TV shows start at $1.99. The improvements also include new Recaro leather seats with power outlets and USB ports at every seat (currently on 95 percent of its aircraft) and new in-flight service that offers “locally-sourced, artisan food and beverage from iconic Northwest brands.” Later in 2015, Alaska is due to begin installing new overhead bins that provide 48 percent more storage space. Routes: Southwest, JetBlue, AA. 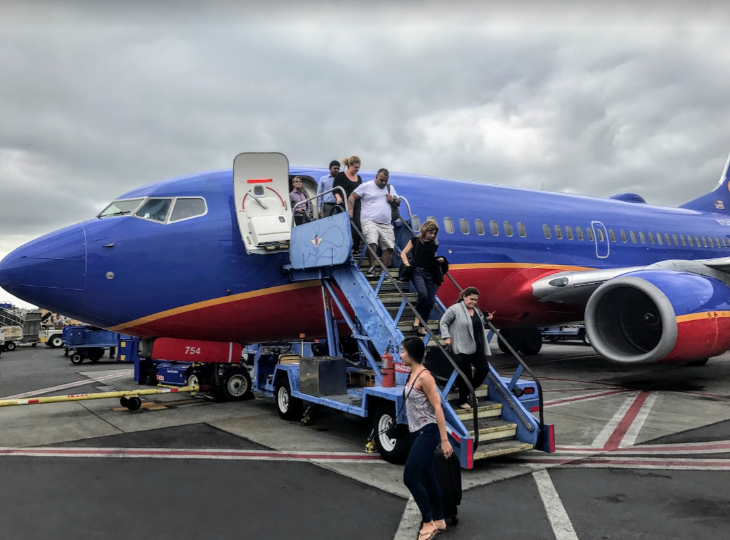 Southwest will add new service next year on several routes: On June 7, it will begin twice-daily Los Angeles-Portland, Ore. flights as well as new daily service between LAX-Indianapolis, Oakland-Nashville and Oakland-New Orleans. On June 28, it will add twice-daily Indianapolis-Boston flights and daily service between Austin-St. Louis and Austin-Orange County, Calif. … JetBlue last week inaugurated three new Florida routes from Washington Reagan National, including twice-daily service to Jacksonville and daily flights to Ft. Myers and West Palm Beach … American Airlines has filed for government approval to start code-sharing with Mexican carrier Interjet, with plans to put the AA code onto Interjet flights from Mexico City to Huatulco, Villahermosa, Merida, Tuxla Gutierrez and Oaxaca. China connections: United, Virgin. United Airlines plans to boost seasonal capacity from San Francisco to China in 2015. The carrier said that from May 6 to October 24, it will double its SFO-Shanghai service to two flights a day, and from June 4 to September 1 it will increase SFO-Chengdu frequencies from three a week to daily. Meanwhile, Virgin America said that starting in 2015, it will offer members of its Elevate program reciprocal benefits with China Eastern, so they can earn and burn miles on the Chinese carrier’s flights. Virgin will also add the Shanghai-based airline’s code to a number of its U.S. routes. New Qantas First lounge at LAX. 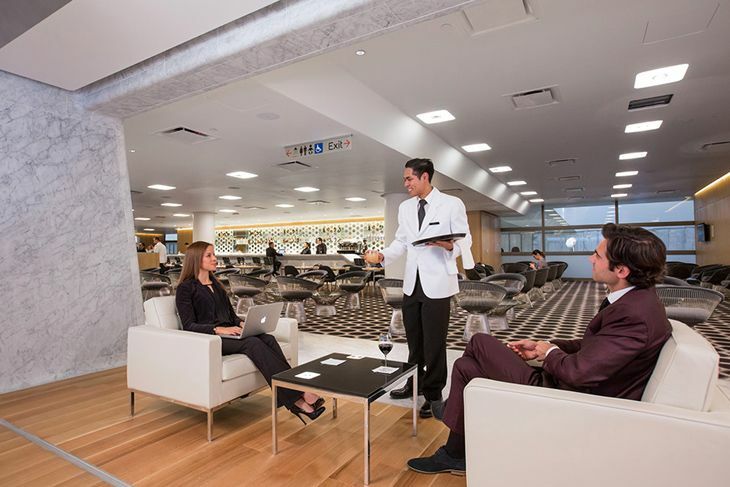 Qantas has cut the ribbon on a new Qantas First lounge at Los Angeles International Airport that’s more than three times the size of its predecessor. The new Qantas First facility — open to first class customers, Qantas Platinum and Platinum One frequent flyers, and Oneworld Emerald and international first class flyers — can seat more than 200 guests. 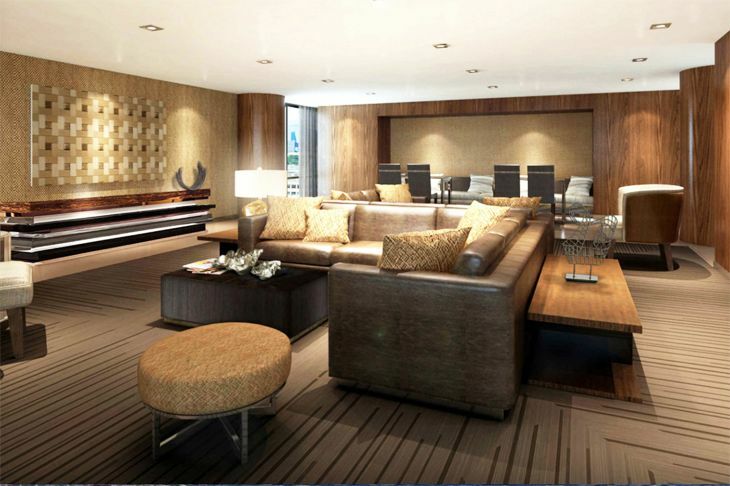 It has a 74-seat restaurant with cuisine from Australian celebrity chef Neil Perry, as well as enhanced services like faster Wi-Fi, wireless printing, cable TV, a pair of private work suites and seven shower suites. Meanwhile, Qantas last week increased service on it s LAX-Melbourne route from seven flights a week to 10. 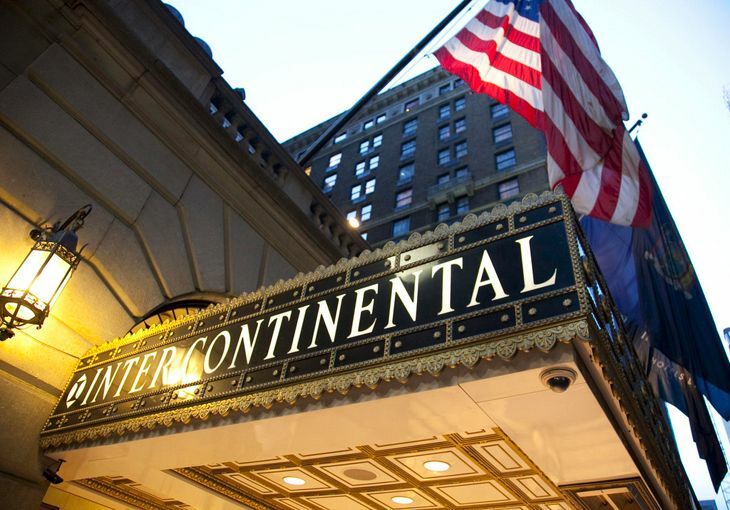 InterContinental to acquire Kimpton Hotels. 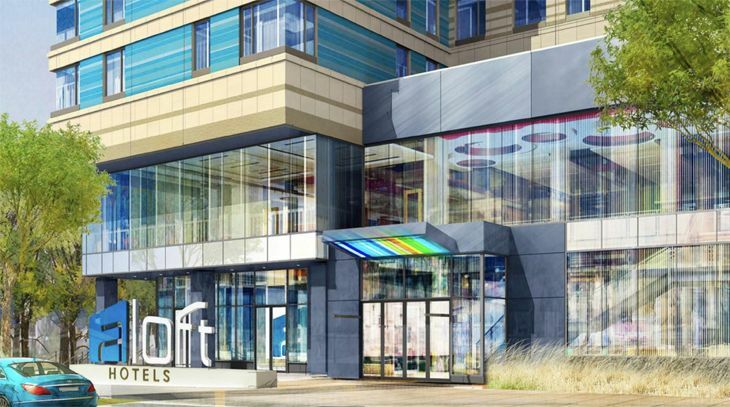 The popular and fast-growing boutique chain Kimpton Hotels & Restaurants, with 62 U.S. properties and 16 more in the works, is being acquired by InterContinental Hotels Group for $430 million. 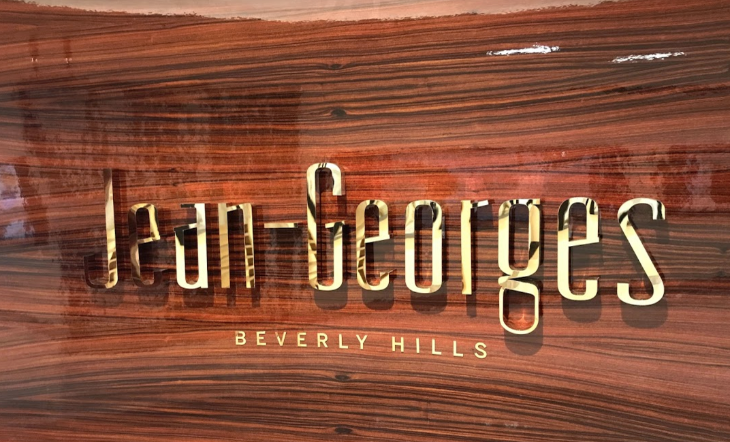 Noting that the boutique hotel business is “the fastest growing segment in the industry,” IHG said that Kimpton, with its distinctive designs and decors, will be “highly complementary with IHG’s Hotel Indigo and EVEN Hotels brands.” The purchaser said it would speed up the growth of Kimpton in the U.S. and introduce the brand in foreign destinations, citing a “significant opportunity” for expansion in Europe and Asia. There will be no immediate impact on customers; Kimpton told members of its Karma Rewards plan in an email that its program and the IHG Rewards Club “will continue to run as separate loyalty programs” for the time being. Starwood expands free Wi-Fi. On the heels of a similar announcement by Marriott two months ago, Starwood Hotels & Resorts said that effective February 2, 2015, members of its Starwood Preferred Guest program who book their rooms directly through a Starwood digital channel including websites and mobile apps will get free standard in-room Wi-Fi access at all the company’s brands. 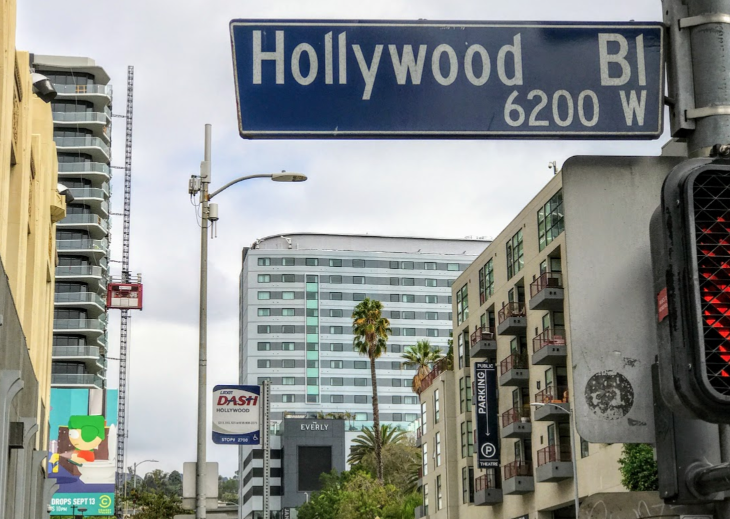 Starwood already offers free Internet at its Aloft, Element, and Four Points by Sheraton brands in North America, and to SPG Platinum members. 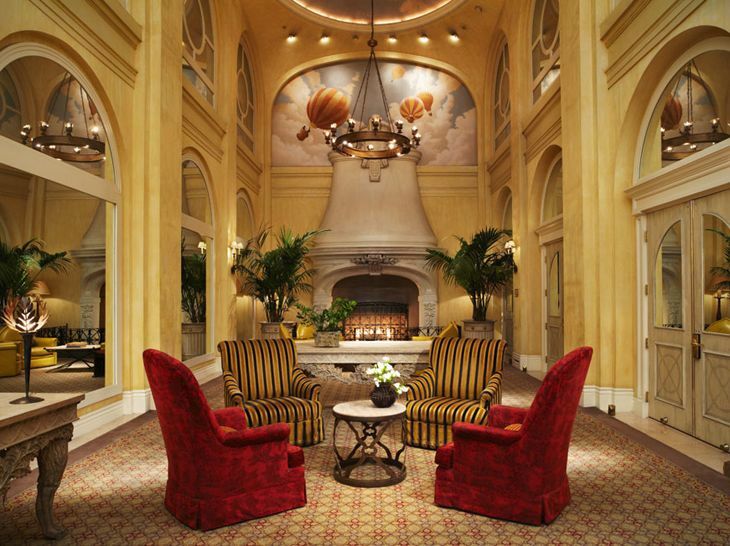 Starwood’s other brands include St. Regis, The Luxury Collection, W, Westin, Le Meridien and Sheraton. Hilton digital check-in goes live. Hilton Worldwide announced last week that guests who use its Hilton HHonors app can now check in digitally at more than 4,100 of its properties worldwide in 11 brands, using their own smartphones, tablets or desktops. They can also use the app to select a specific room for their stay. 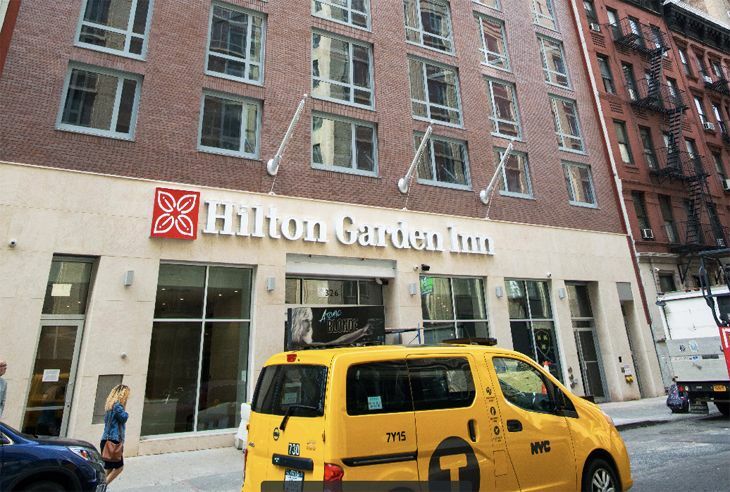 Next year, Hilton said, it will expand the app’s functionality so guests can unlock their room doors with their smartphones, starting with its Conrad, Hilton, Waldorf Astoria and Canopy by Hilton brands. Have you tried digital check-in with any hotels yet? Any problems? 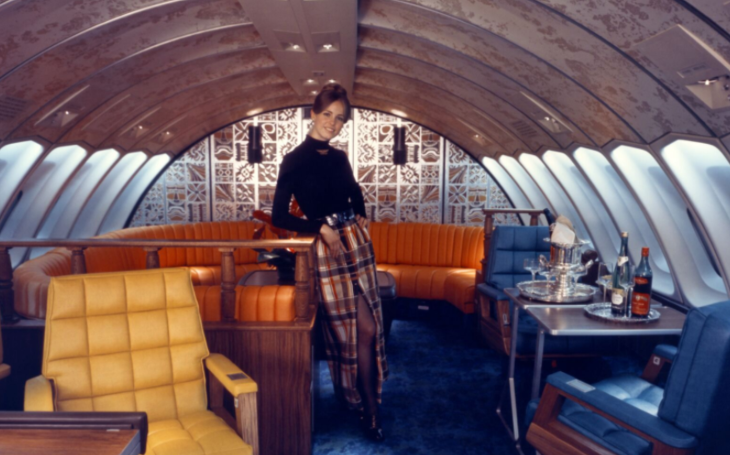 American ups the ante for premium flyers with mileage bonuses. Evaluating the new hotel discount search engines. As Labor Day passes each year and the flood of summer leisure visitors dries up, hotel marketers have traditionally tried to prime the pump of autumn business travel by rolling out special bonus or discount promotions for members of their loyalty programs — and this year is no exception. Please note that some of these promos are targeted to certain members and may not work for everyone. 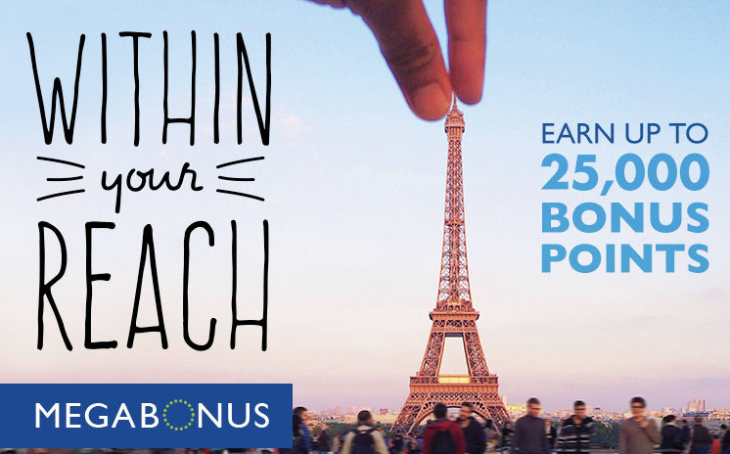 Marriott Rewards members can earn up to a maximum of 25,000 bonus points when they register online by November 15 in the company’s Megabonus promotion, for stays at any of Marriott’s 15 brands (including Ritz-Carlton) between September 15-January 15. The offer provides double the usual program points for every stay — starting with the second one — during the promotional period, up to the maximum bonus. If you belong to Best Western Rewards, you can score 1,000 bonus points per stay from now through November 23 when you book that stay — at any qualified rate — through the group’s website at bestwestern.com. (Elite members get another 500 bonus points on top of that.) Select the Best Value or Web Special rate when you book, and you’ll get up to 20 percent off the hotel’s Flexible Rate. To take advantage of the promotion, members must register online. Choice Hotels is offering members of its Choice Privileges plan the ability to earn one free night’s stay for every two qualifying stays at Choice brands from September 4 through November 12 when they register online. (Clarification: The “free night” is based on picking a property from the 8,000-point reward level in the program; most require more points than that.) 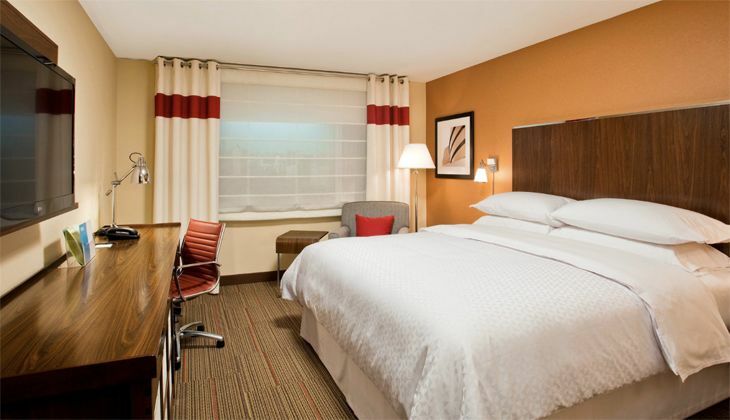 While a single night qualifies as a stay at some Choice brands, the promotion sets a minimum of two nights for qualifying stays at its MainStay Suites, Suburban Extended Stay, Rodeway Inn and Econo Lodge brands. And members who have set airline miles instead of Choice Privileges as their program earning preference are ineligible. 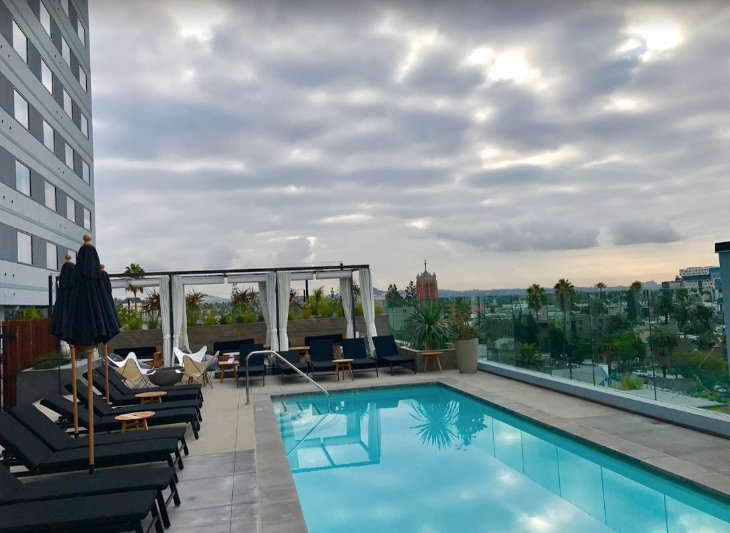 Members of Kimpton Hotels’ new Kimpton Karma Rewards plan should act fast to take advantage of its Luxe Liberation offer. They can snag a discount of up to 20 percent when they stay in a Kimpton suite from now through October 31 — but the booking deadline is September 13. 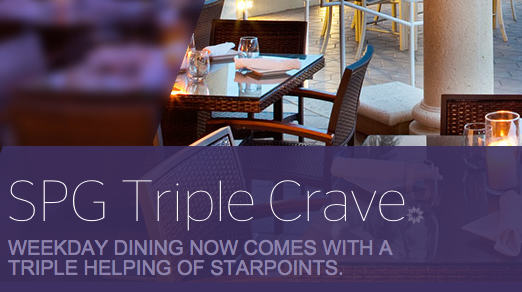 Starwood has a fall promotion called Triple Crave that rewards Preferred Guest members for dining at many of its hotel restaurants. It offers triple SPG points for restaurant purchases of $50 or more Monday through Thursday from now throughDecember 30, and requires online registration. 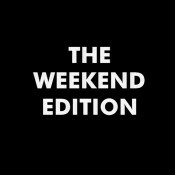 The site has a link to a list of participating restaurants worldwide, including 144 in the U.S. For weekend stays, Starwood also has launched its More For You campaign offering double or triple points for weekend stays. Country Inns & Suites by Carlson will serve up double Club Carlson Gold Points — along with early check-in or late check-out — to members who book a “Business Package” stay at its North American properties from now through December 31. The Business Package rate also provides a hot breakfast, high-speed Internet, use of the fitness and business centers and a daily newspaper. 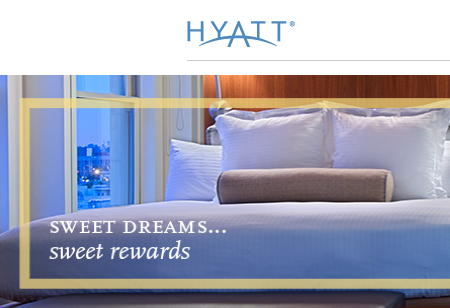 With the Sweet Dreams Sweet Rewards promo, Hyatt Gold Passport members earn 5,000 Hyatt Gold Passport bonus points after the first five nights and “thousands more” for every additional five nights at any Hyatt hotel worldwide from September 1 through November 30, 2014. After 20 nights, that’s 50,000 bonus points. Over the last few years, we’ve witnessed a wave of travel industry mergers that seemed implausible a decade ago. Nearly 100% of the airport rental car market is now controlled by just three companies: Enterprise (National, Alamo), Hertz (Dollar, Thrifty), and Avis (Budget, Payless, Zipcar). Big brand names that we’ve all known and loved (or hated) have evaporated or been gobbled up by conglomerates. Have we reached the end of merger mania in the travel biz? I don’t think so. Uber is sitting on a valuation of $19 billion and is the undisputed king of the brand new ridesharing industry with an excellent product and a very loyal customer base. With that kind of money and power, Uber must be thinking about buying out its closest competitor, Lyft (valued at around $700 million), right? I would if I were Uber CEO Travis Kalanick. The services offered by UberX and Lyft are nearly identical, so I could easily see Uber buying and folding in Lyft as part of its new carpooling initiative announced this week. And it’s curious that Lyft and Uber both came out with the same idea about carpooling almost simultaneously, no? Are the two companies already coordinating product launches? Hmm. The combo would probably make many buttoned up, Uber-loving business travelers a bit more comfortable with Lyft, which is known for its “citizen drivers,” fratty fist bumps and fuzzy pink moustaches. Those moustaches might be getting a makeover- Lyft recently hired a new design director to polish up its image. “Uber has been aggressive in its efforts to add both cities and capacity, and a merger could help it accomplish both,” said Henry Harteveldt of the Atmosphere Research Group. “A larger Uber would be more appealing to individual consumers and business travelers, and would have considerably more political clout.” But he also warned that removing a competitor from the marketplace could lead to higher prices. What are the odds that these two will merge? Leave your comments below. 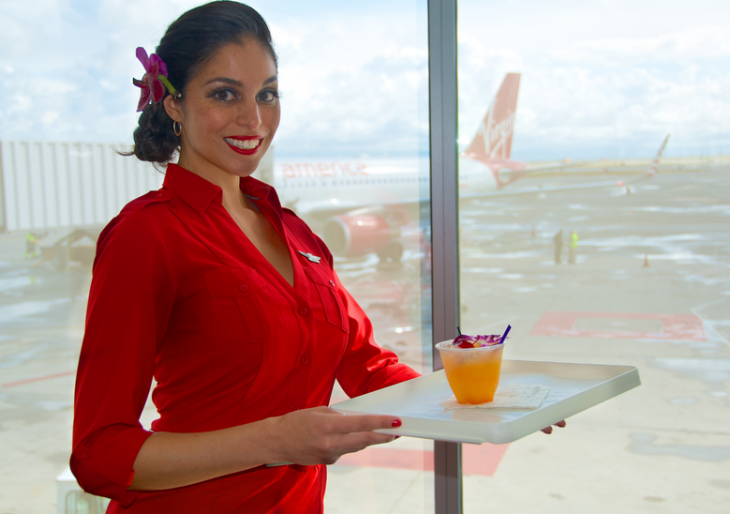 Virgin America and JetBlue are currently the darlings of commercial aviation in the US. Both are known for excellent service, new planes and positive consumer feedback. But both are also in a bloodbath with financially healthy legacy carriers anxious to eat their lunch. It is increasingly difficult for these two upstarts to fight against the attraction of the major carriers’ robust frequent flier programs. Wouldn’t it make sense for the two to combine forces to fight back? 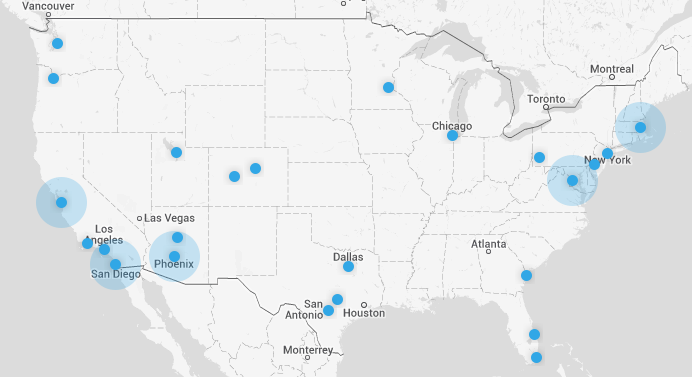 Their route maps don’t overlap too much– JetBlue is primarily an east coast carrier and Virgin is big out west. JetBlue has a nice foothold in the huge New York City market. Virgin is adored in San Francisco and Los Angeles. JetBlue boasts the modern, convenient airport terminal (T5) at JFK. Virgin has the state of the art T2 at SFO. The two carriers could share the mod Virgin Loft at LAX since they both operate out of Terminal 3 there. Both carriers fly Airbus narrowbody jets. If the two carriers did merge, which brand would survive? Snyder thinks it would be JetBlue due to more national name recognition and the fact that they would not have to pay the Virgin Group any royalties to use the Virgin name. What are the odds that these two will merge and which brand would survive? Leave your comments below. There are numerous other merger possibilities that make sense in the travel space. 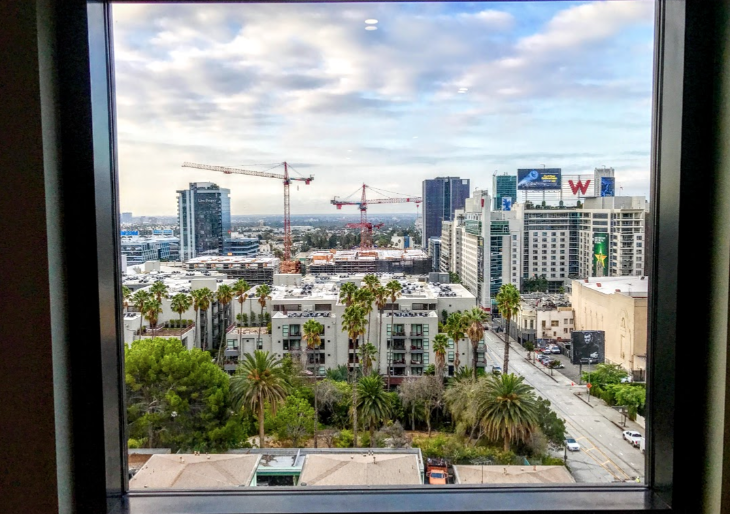 I’m thinking Kimpton and Hyatt would make a good pair– both do a great job executing excellent upscale customer service, and Hyatt is likely eager to enlarge its relatively small footprint in the market. Like Uber, Airbnb is sitting on a huge valuation ($10 billion) which it could use to buy out competitors… I wonder if Airbnb has its eyes on VRBO, which used to lead in this space, but now operates in the shadow of Airbnb? Then there’s the notion that the major air carriers in each global alliance may one day merge to form truly global carriers. SkyTeam Air Lines? Oneworld Airways? Star Airlines? That’s probably years, if not decades away, but these global alliances are likely precursors. Sounds implausible, right? Well, maybe not! What do you think are some likely merger possibilities in the travel space? Leave your comments below! This week the Kimpton Hotel Group, the rapidly expanding chain of 62 funky and functional boutique hotels across the US, rolled out a unique new frequent stay program. 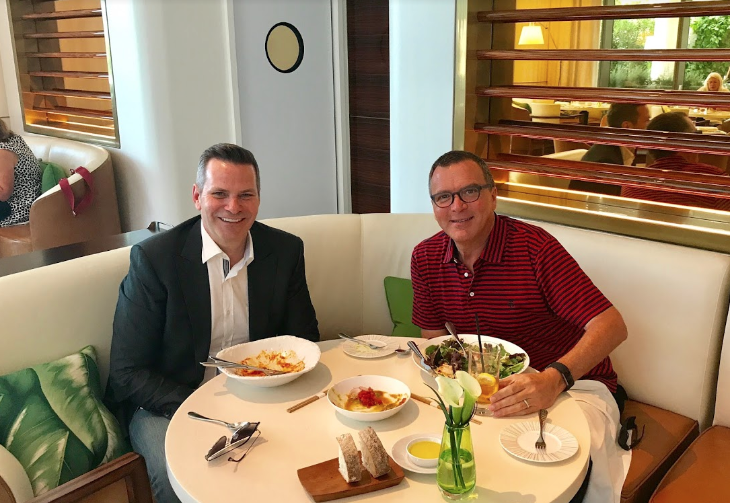 For example, guests who attend the chain’s signature “wine hour” in the hotel lobby and engage with the GM might find a thank you and bunch of bonus points for showing up the next time they log on to their Karma Rewards account. The same goes for guests who check out a free Kimpton bike for a ride around town, those who tweet, Facebook or Instagram about their stays, dine in the hotel restaurant, or hold an event at a Kimpton hotel. You can even earn extra points for booking your stay directly on the hotel’s website instead of using a third party. 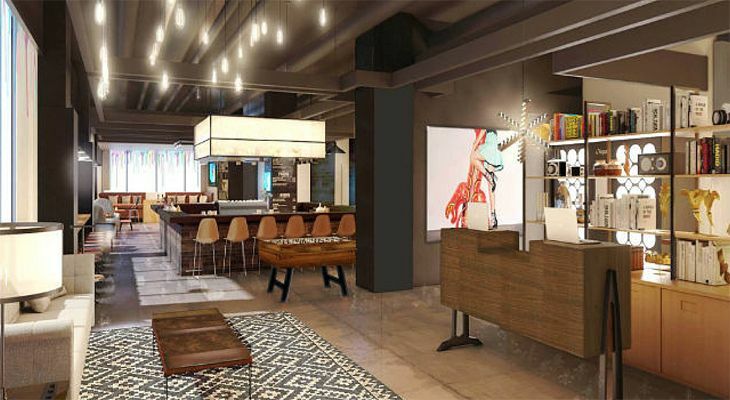 Kimpton has 62 hotels in the US, including 4 in NYC and 8 in DC and is aiming to soon have 100. These extra karma points are meant to surprise and delight guests who engage on a deeper level with the variety of experiences the hotels are known for. 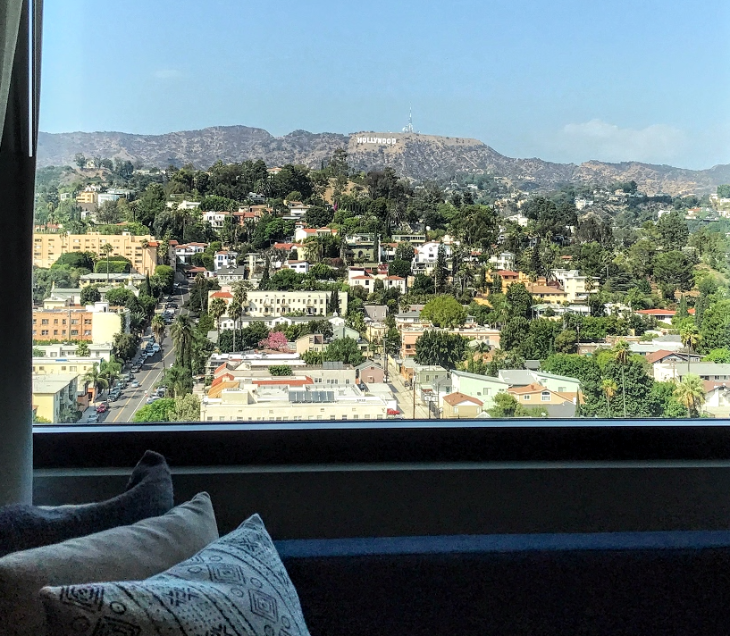 “When we asked our members what they loved most about Kimpton and our old InTouch program, they did not gush about how easy it was to earn free nights. 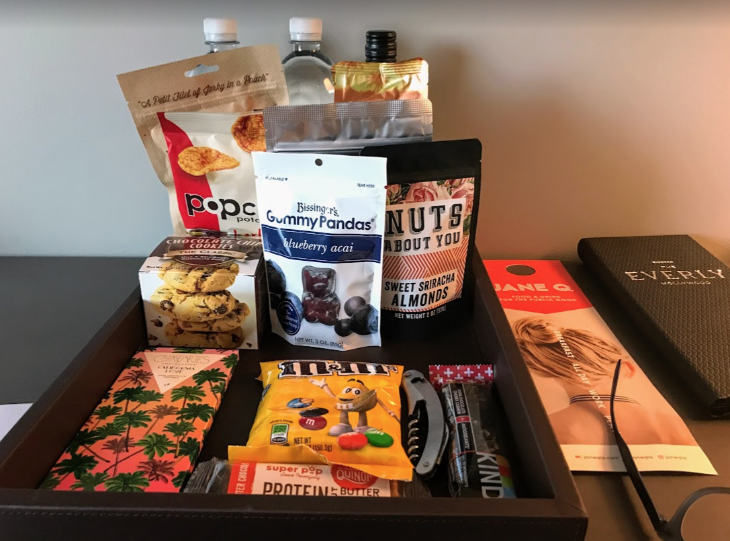 The said that they love and remember the unusual touches Kimpton provides, like yoga mats and leopard print robes in closets, the automatic $10 credit on the hotel bar or in-room mini bar, free wi-fi, or the nightly wine hour. So we decided to create a new program focused providing better experiences instead of focusing on free nights,” Kimpton’s Maggie Lang told TravelSkills. 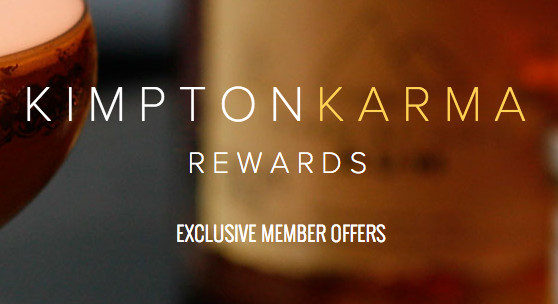 Kimpton did not touch how members earn points – you still get one free night after seven visits or 20 nights. But as you can tell, the new program is not all about free nights…it’s about having a better time or richer experience during your stay. 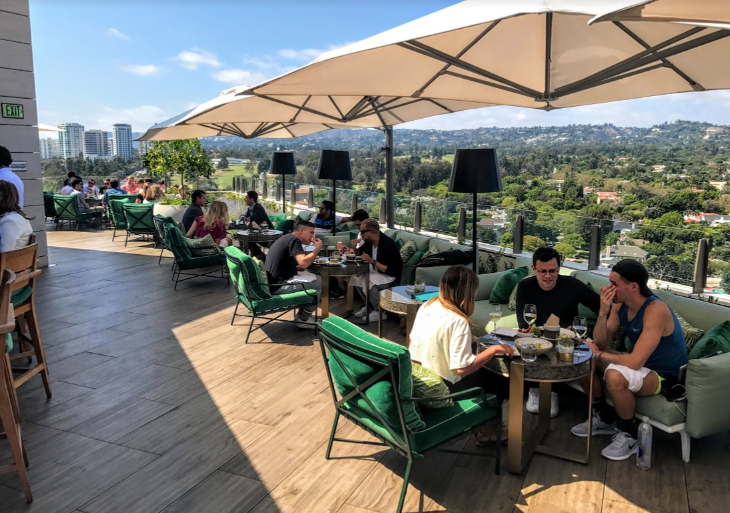 I’ve stayed at just a handful of Kimpton hotels over the years- primarily on the West Coast… the Palomar in LA, the Solamar in San Diego and the Hotel Monaco in San Francisco come to mind. I’ve also checked into the Hotel Palomar in Atlanta while it was there (it recently switched to a Marriott brand). It has four hotels in NYC and eight in Washington, DC. 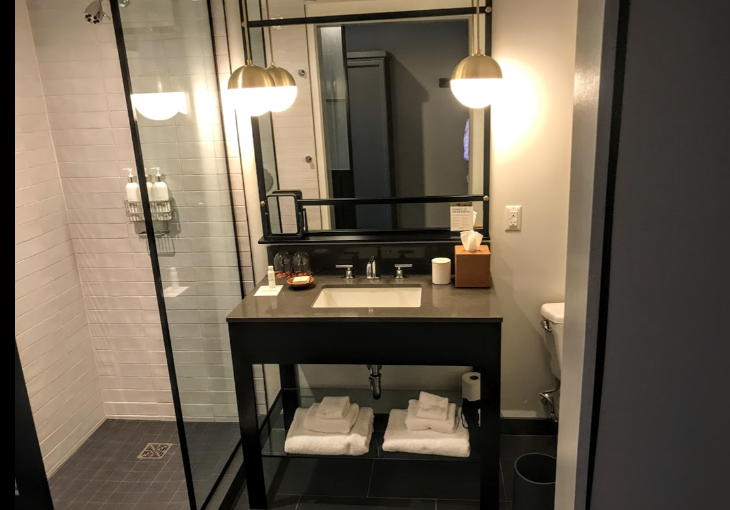 Kimpton hotels definitely have an colorful, quirky, hip vibe, that I enjoy and I’ve always felt like they get “the little things” exactly right. 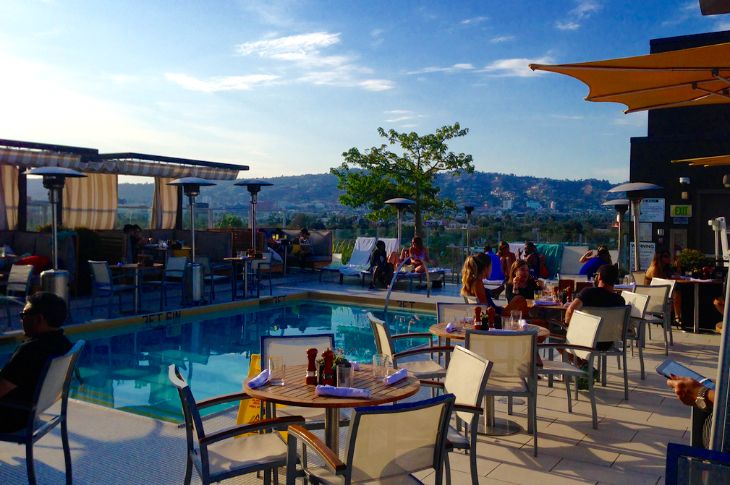 What are your thoughts on Kimpton hotels and the new Karma Rewards program? Please leave your comments below.